My apologies for this late year-end review. I have been involved with a number of time consuming pursuits. Between projects and travel I have had little time to write book reviews as frequently as I would like. *A note on how books are judged. Books are judged by the following criteria: binding, materials, design, talismanic intent & method of consecration (if applicable), artwork/layout, and editorial rigor. Books are chosen from those released and delivered (in full) within the year 2016 (even though they may have a 2015 publication date). This is because books tend to encounter publishing delays. It is especially common in esoteric publishing for a number or reasons (including some of high strangeness). For example, a 2014 book may not actually be available until 2016 in some cases. Books will not be judged by their topic, theme, or content (other than grammar). This may sound strange, but I feel it is unfair and pointless to compare or make value judgments between different magical paths or traditions (like comparing apples to oranges). While I do my best, I am not qualified to judge and assess every magical system the world has to offer; I very much doubt such a person exists. Therefore, books will be judged by their craftsmanship, editorial competence, creativity, talismanic nature, and beauty only. In recent years there has been a dramatic increase in the publication of deluxe esoteric books. This is certainly good news to publishers, readers, and collectors; however, it is becoming increasingly difficult to keep up with such high output. Frankly, there is not enough time for any individual to read and evaluate every deluxe esoteric book published in a given year. A few years ago it was possible, but no longer. This is a good "problem" to have. Consequently, some very important and noteworthy books may end up falling through the cracks. 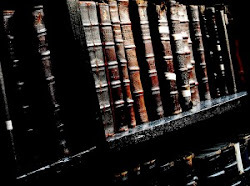 Furthermore, with the sheer number of titles released annually I have to be more selective by choosing only topics I find personally interesting such as (but not limited to): witchcraft, folk-magic, Hermeticism, demonology, and reprints of historic grimoires. I am less interested in contemporary magical diaries, occult manifestos, and New Age cookbooks. Therefore I apologize in advance to publishers and authors of books I may have overlooked. To help remedy this, and give credit where credit is due, I invite my readers to post titles of deserving books (from 2016) that may have been overlooked in the comments section of this post. And now, Balkan's Arcane Bindings' pick for the English language 2016 Esoteric Book of the Year. 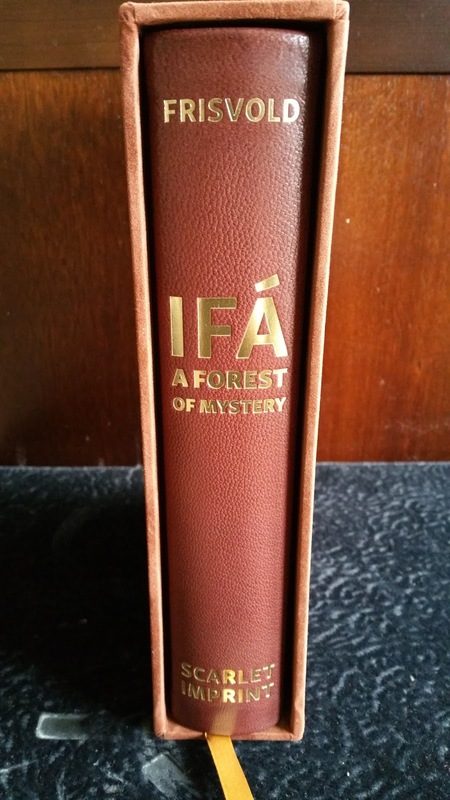 Ifá: A Forest of Mystery by Nicholaj de Mattos Frisvold (Fine Edition). Published by Scarlet Imprint. Black & white illustrations by Childerico. Octavo. 400 pages. Limited to 64 copies. Ifá: A Forest of Mystery is Nicholaj de Mattos Frisvold's fourth book of Afro-Caribbean magic published by Scarlet Imprint. It was preceded by Palo Mayombe: The Garden of Blood and Bones, Exu & the Quimbanda of Night and Fire, and Pomba Gira and the Quimbanda of Mbumba Nzila. The book explores the Yoruban Ifá tradition, and in particular, its primary divination practices. Prior to reading this book I had almost zero knowledge of the Ifá tradition, yet Mr. Frisvold made it easy for me to comprehend the basic tenets and cosmology of the system. The author strikes a welcome balance by making the work comprehensible for the novice (like me) and also providing enough depth and mystery to keep the interest of readers already familiar with the system. The dramatic artwork by Childerico (reminiscent of woodcuts, though far more detailed) creates a phantasmal atmosphere filled with primal power and laden with symbolic meaning -- 18 images virtually crackling with energy. 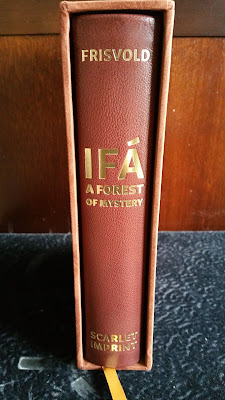 Like all the rest of the Frisvold/Scarlet Imprint collaborations, the fine edition of, Ifá: A Forest of Mystery is truly something to behold. Its luxurious binding is bound in full hand-grained morocco. The publisher (and probably the tannery) refers to the color as "rust", but I think chestnut would be more accurate. The leather is soft with a smooth tight grain and has a very pleasant scent -- what can only describe as malty. This is a hefty book (2 inches thick) with very heavy beveled boards. As far as its construction goes, it is 'built like a tank'. Simply outstanding. I am sure it will outlast everyone reading this review. 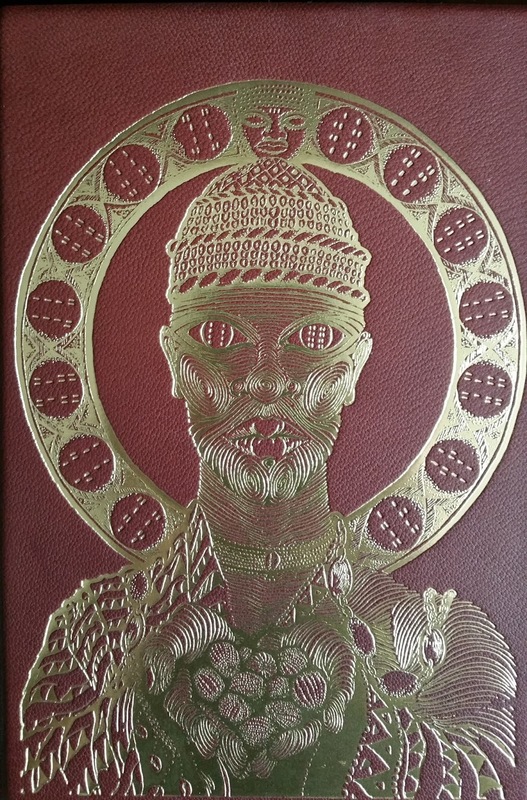 The cover is breathtaking -- an image of Orúnmila, the god of knowledge, blocked in gold. He holds the sacred palm tree nuts (ikin) used for divination. Custom endpapers from Victoria Hall are marbled with a striking weave pattern in shades of green and red. Quite unusual. The book's edges are gilded as well. There might be more gold in this book than some people's wedding rings. It is finished off with gold head/tail bands and a gold-colored silk ribbon bookmark. 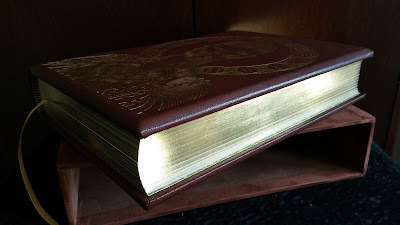 A brown suede slipcase is provided for protection. The work concludes with a glossary, bibliography, and index. 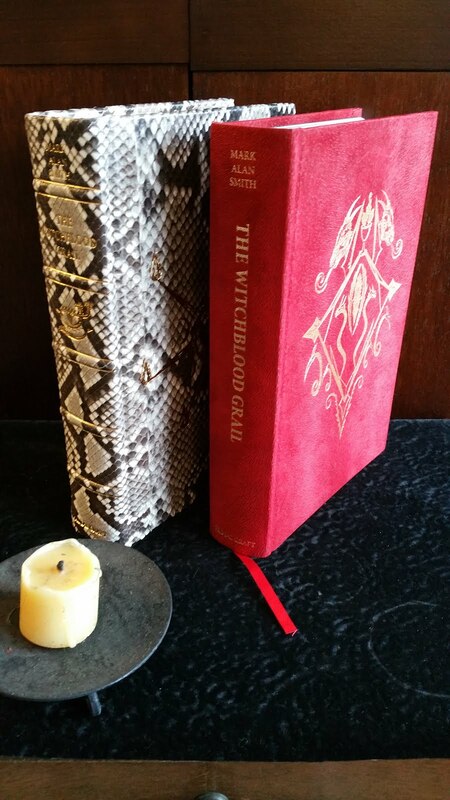 Scarlet Imprint has shown once again why they are one of the leaders in fine bindings, and not just in esoterica, but among all publishers. 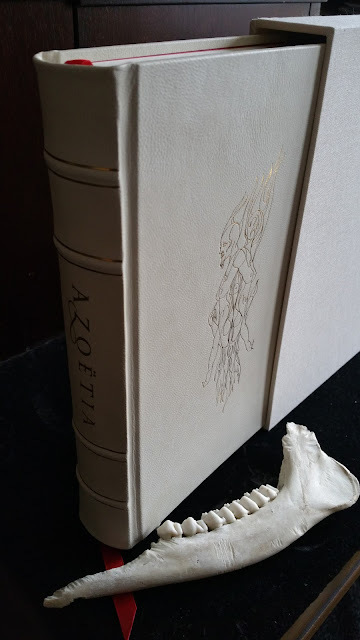 Azoëtia by Andrew Chumbley (Third Edition - Special Edition). Published by Xoanon Limited. Illustrated in black and white by the author. Octavo. 394 pages. Limited to 22 copies. Azoëtia was ranked a very close second in my poll for the "Most Important Esoteric Book of the 20th Century" here. It was surpassed (by only 1%, mind you) by Crowley's Magick: Liber ABA (Book Four). Azoëtia is the foundation text of the Sabbatic Witchcraft tradition. 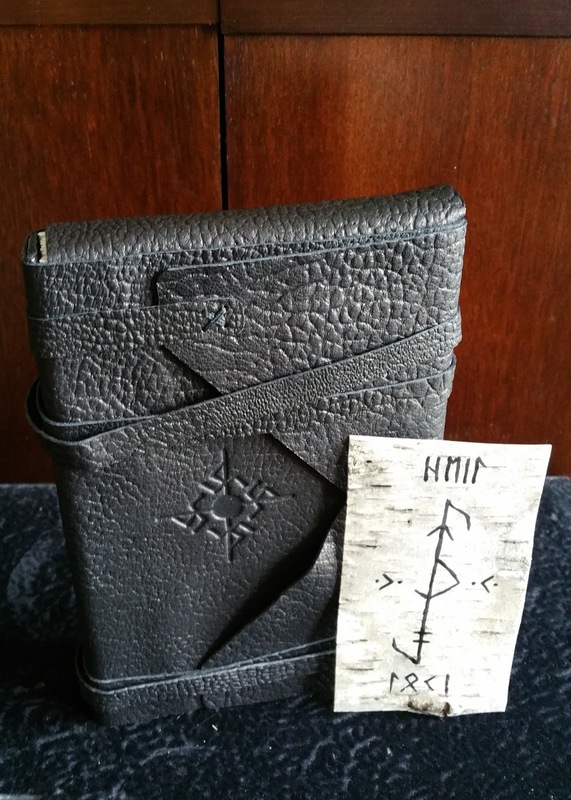 A true modern grimoire, it contains a series of formulae, rites, conjurations, and instructions unique to the Sabbatic Witchcraft tradition. The work is illustrated throughout with Mr. Chumbley's own fascinating and complex pen/ink psychography. A glossary is included to familiarize the reader with potentially unfamiliar terms. 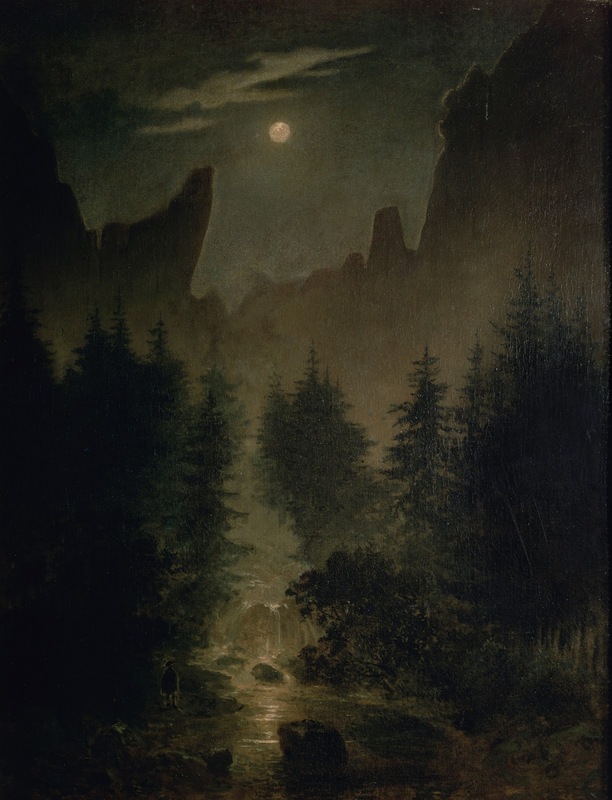 Azoëtia's impact on contemporary witchcraft traditions is considerable, but its influence extends far beyond witchcraft traditions in ways one might not expect. I believe Azoëtia's Second Edition (the "Sethos" Edition) was instrumental in making talismanic publishing what it is today. Prior to its publication, 20th century occult books rarely commanded high prices, with the exception of first edition or signed books by Crowley or A.O. Spare. That all changed with Mr. Chumbley and his publisher, Xoanon. Demand and buzz had been building after the first edition paperback of Azoëtia (1992) became scarce. In 2002 it was reprinted as a deluxe hardback. Not only was Azoëtia beautifully bound, but it was also very limited and in high demand. It sold out in a matter of months. Chumbley also created handmade talismans to accompany some of his works. This changed everything. Suddenly books were not simple vessels for magical material, they were themselves magical -- a very old idea reintroduced into the modern market. It was also a rejection of the disposable/paperback culture many of us had grown up with. Books began to look and feel magical again. Now, with the new 3rd Edition, the bar has been raised even higher. 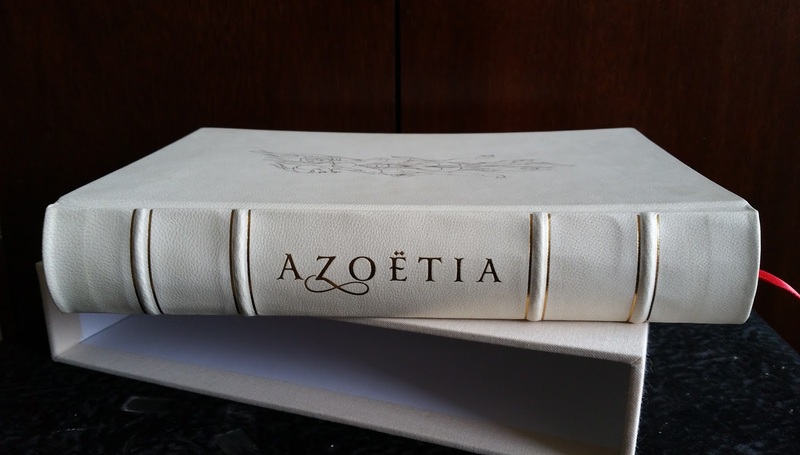 The Special Edition of Azoëtia is bound in full cream-colored alum-tawed goat (whitened with alum salts). Alum-tawed skins are a time-honored material in bookbinding dating all the way back to the 12th century. I feel this is a perfect choice for binding material for Azoëtia, as the skin is both elegant and rustic -- understated and rugged -- perfectly reflecting the raw and direct nature of the work. The natural irregularities and blemishes of the goatskin echo the unique and variable challenges the reader will encounter within the Sabbatic current. Furthermore, the goatskin has a marvelous texture with a very fine "grip" -- semi-rough when stroked against the grain, like the tongue of a cat. 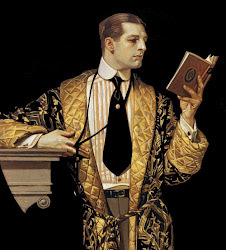 The cover is one of Mr. Chumbley's figurative pieces blocked in 22 karat gold. It is a component of an interior image, (Fig. 14 Erotocrasis: The Arch of Drewary O'er the Sigillick Tree of Earthen Albion). The book's title is emblazoned on the spine in matching gold and bordered by four raised bands, each outlined in gold. Head/tail bands, marbled endpapers, and ribbon bookmark are all scarlet red, a striking contrast against the pallid exterior. Opening the book is like opening up a living creature -- a marbled fleshy interior splashed with crimson. 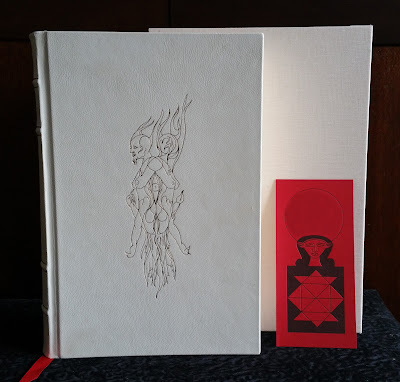 Each copy of the Special Edition comes with a hand-written talisman, "bearing the sign of one of the twenty-two Sacred Letters of the Azoëtic continuum". For privacy reasons I have digitally removed the letter from the talisman in the photo. Each of the 22 "Holy Letters" found within Azoëtia has a specific energy signature and distinctive correspondences. Of all the 22 letters, the one I received was the most personal and appropriate for me. It was uncanny. Later, in a conversation with the publisher, he explained to me that individual letters were specifically chosen for each of the 22 recipients. It impressed me beyond words that a publisher would take such care, time, and consideration to make sure that each copy arrived into the hands for which it was destined. This, ladies and gentlemen, was a truly magical process. It is this sort of personalized attention to detail that sets the small press (and specifically talismanic publishing) apart from mass-market publishers. This is not just a sales process; it is a magical working. by Nigel Pearson (Fine Edition). Published by Troy Books. Illustrated in black & white by Gemma Gary. Black & white photographic plates. Octavo. 272 pages. Limited to 15 copies. The Devil's Plantation is a fascinating collection of traditional witchcraft beliefs and lore from East Anglia. Mr. Pearson takes the reader on a journey covering a number of topics specific to the region: spirits of the landscape -- or genius loci (East Anglia's unique psychogeography), encounters with folkloric creatures, historic and notable witches and cunning-folk, flora/fauna/mineral lore, and witchcraft traditions (charms, cures, and curses). A bibliography and index are also included. And hence they have named it The Demon's Cave. Of the Demon's Cave, and its haunted vale." The Devil's Plantation is appropriately bound in full black goatskin. The goatskin has a medium grain with a faintly oily texture. Folklore speaks of certain books of maleficia that "sweat", indicating that the spirits bound within are in constant torment. Perhaps this is one. What makes this binding really stand out is an inlaid shield panel in deep blue leather with a blind embossed border. 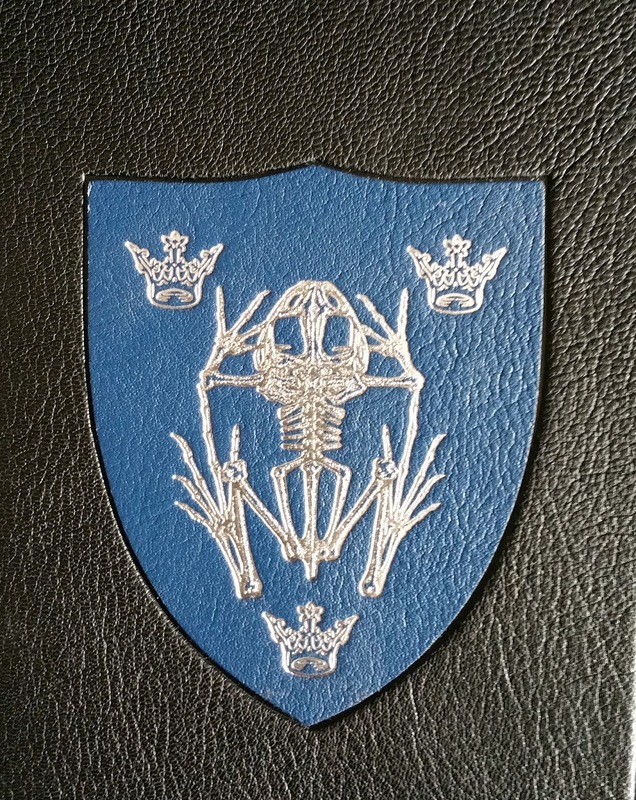 The shield is blocked in silver with a toad skeleton device and three crowns. 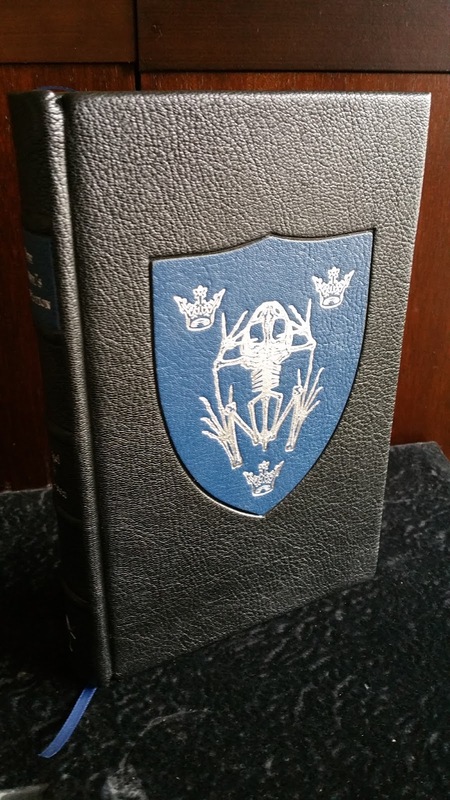 The spine has five raised bands and a matching blue leather label, also blocked in silver. Head/tail bands and silk bookmark are in a matching shade of blue. Hand-marbled endpapers in grey, teal, and bronze are equally bewitching (pardon the pun), and look like the oily surface of a bubbling cauldron -- an amusing choice. 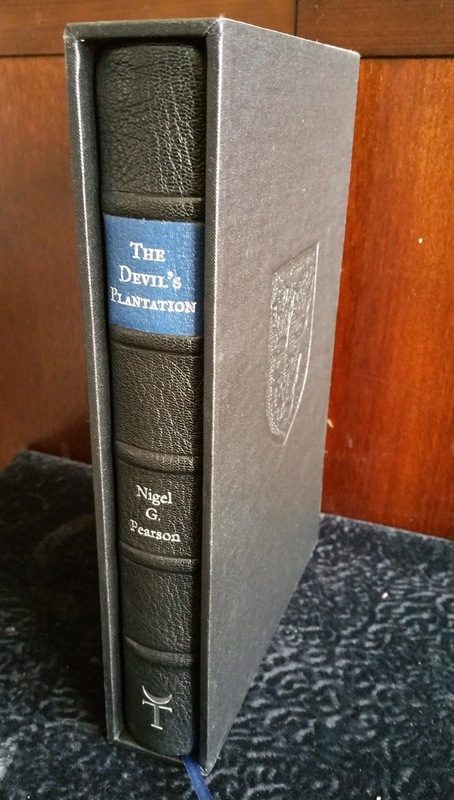 The Devil's Plantation comes housed in a black buckram slipcase blind embossed with a shield device. The book contains fifteen evocative pen/ink illustrations by Gemma Gary in her distinctive stipple-style (this has become a welcome trademark feature of Troy Books' titles), and twenty five black & white photographic plates. As somewhat of a companion book to The Devil's Plantation, Troy Books has recently released a new and revised edition of Nigel Pearson's earlier work, Treading the Mill: Workings in Traditional Witchcraft. Mr. Pearson's work is a tremendous contribution to the study of British folk magic. The Triangular Book of St. Germain deciphered and translated by Nick Koss (Special Edition). Published by Ouroboros Press. Printed in full color. English and French text. Small triangular format (6 1/2" x 6"). 48 pages. 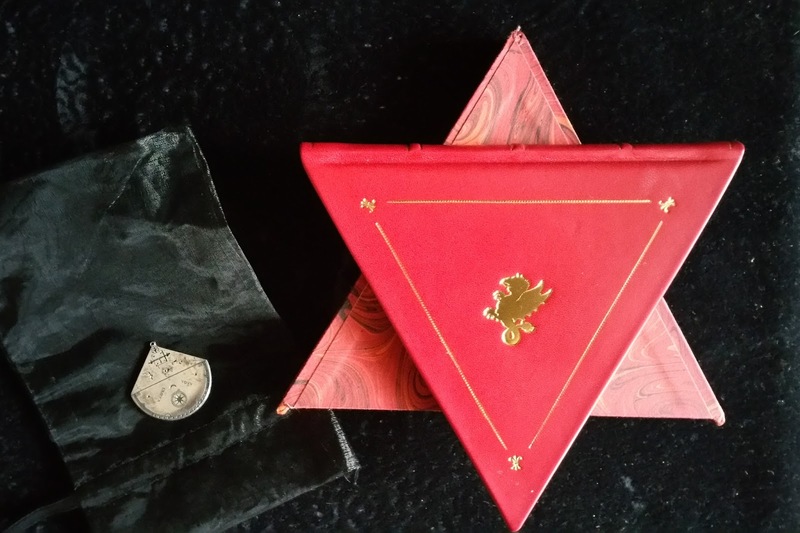 Comes with a sterling silver talisman and marbled slipcase. Limited to 26 copies. Þursakyngi - Loki by Ekortu. (Deluxe Edition), published by IXAXAAR. Bound directly to goat leather creating a unique protective envelope with tied leather closures. Comes with a birch bark talisman created by the author. 270 pages. Octavo. Limited to 49 copies. The British Book of Spells and Charms by Graham King (Fine Edition). Published by Troy Books. 296 pages. Blind embossed buckram slipcase. Duodecimo. Limited to 20 copies. Claves Regni by Nikolai Saunders. Published by Fall of Man. 542 pages. Octavo. Bound in Italian green moire silk and gold gilt. Faux-crocodile skin slipcase. Limited to 96 copies. My hope is to get back to writing semi-regular book reviews, that is, if life will ever calm down enough to permit it. I am also considering including a occasional interviews with authors and publishers to mix things up a bit. Have a great year, dear readers. *First, a note on how books are judged. Books are judged by the following criteria: binding, materials, design, talismanic intent & method of consecration (if applicable), artwork/layout, and editorial rigor. Books are chosen from those released and delivered (in full) within the year 2015 (even though they may have a 2014 publication date). This is because books tend to encounter publishing delays. It is especially common in esoteric publishing for a number or reasons (including some of high strangeness). For example, a 2014 book may not actually be available until 2015 in some cases. Books will not be judged by their topic, theme, or content (other than grammar). This may sound strange, but I feel it is unfair and pointless to compare or make value judgments between different magical paths or traditions (like comparing apples to oranges). While I do my best, I am not qualified to judge and assess every magical system the world has to offer; I very much doubt such a person exists. Therefore, books will be judged by their craftsmanship, editorial competence, creativity, talismanic nature, and beauty only. In recent years there has been a dramatic increase in the publication of deluxe esoteric books. This is certainly good news to publishers, readers, and collectors; however, it is becoming increasingly difficult to keep up with such voluminous output. Frankly, there is not enough time for any individual to read and evaluate every deluxe esoteric book published in a given year. A few years ago it was possible, but no longer. This is a good "problem" to have, though some very important and noteworthy books may end up falling through the cracks as a consequence. Furthermore, with the sheer number of titles released annually I have to be more selective by choosing only topics I find personally interesting such as (but not limited to): witchcraft, folk-magic, Hermeticism, demonology, and reprints of historic grimoires. I am less interested in contemporary magical diaries, occult manifestos, and New Age cookbooks. Therefore I apologize in advance to publishers and authors of books I may have overlooked. To help remedy this, and give credit where credit is due, I invite my readers to post titles of deserving books (from 2015) that may have been overlooked in the comments section of this post. And now, Balkan's Arcane Bindings' pick for the English language 2015 Esoteric Book of the Year. 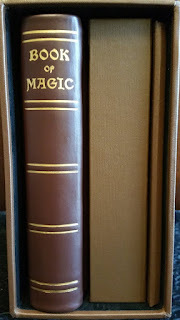 The Society of Esoteric Endeavour's Book of Magic by Anon (Herbert Irwin). Three item set: Facsimile of Manuscript (octavo, 416 pages), Transcript (octavo, 408 pages), and Talisman Folder (octavo, inset with eight vellum talismans). There are plenty of books o the market about magic, but very few are magical; that is, not just about magic, they are magic. The latter may result from a number of methods: consecration, binding materials with symbolic meaning or magical correspondences, intense personal connection, spirit binding (the book becomes a home to a spirit), making the book actually do something -- essentially turning it into magical device, or through a most repugnant method: sacrifice (destroying the book) *shudder*. Readers may scoff at the "personal connection" method, as everyone has a favorite book, or twenty, correct? 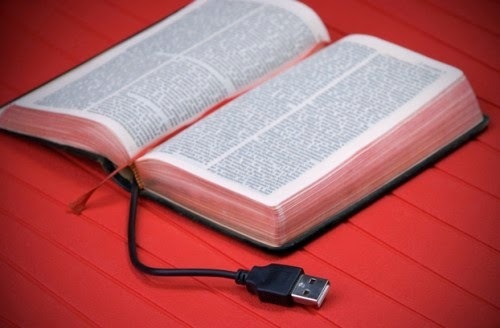 What I mean by personal connection is a book that has an extremely deep connection. The kind of book one would run into a burning building to rescue; one that has made a profound impact on one's life and possibly even influenced the chapters of one's own life. I'll give you an example: This may not come as a surprise, but the first purchase I ever made as a child with my own money was a book. I was 6 years old. I had saved up pennies for quite some time doing odd chores for my parents (as much as a boy that age can do). The book I wanted was a children's book about monsters. Eventually I had saved enough to buy it. I have vivid memories of different monsters leaping off the page and (at least in the mind's eye of a small boy) becoming very real. That book was my Lesser Key of Solomon, a six-year-old's Goetia. I still have it. It is still one of my most magical books, and I still work with the monsters of the book. We've become old friends and have served each other well. Book of Magic falls into to the "magical device" category. 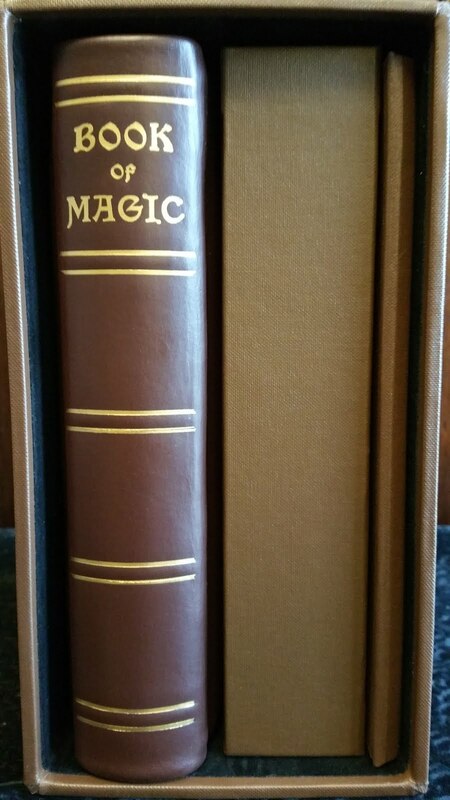 The original manuscript (from 1874) is an instruction manual about how to make a magical book, hence the title Book of Magic and not Book About Magic. Now, after over 140 years, the book has finally migrated from the astral and has physically manifest. 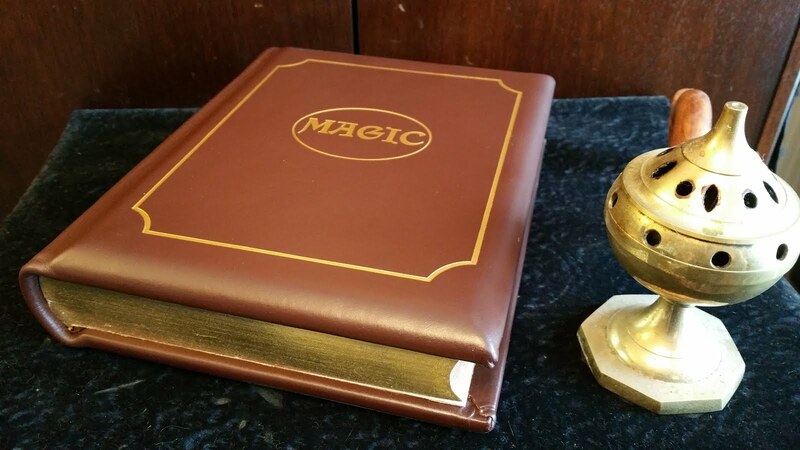 The book is essentially a tool for doing magic, not just reading about it. 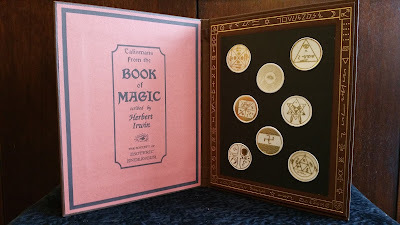 Furthermore, with the eye in the motif set in the front cover being on paper from the original manuscript, it provides a magical link that is the basis for the magic mirror set in the rear board to act as the window by which the practitioner may access the same mind spaces that Herbert viewed to create the original manuscript. The eye is set into the front cover directly opposite the rear mirror. So when the book is closed the eye is continuously gazing through the text block and into the darkness of the rear mirror, creating a magical circuit, if you will. So not only does the mirror provide an aperture to different states of mind, but also a window through time and into the head-space of the book's creator. Depending on the reader's beliefs, the eye -- ever watchful -- may also serve as a ward to make sure the mirror does not become an unintentional gateway when not in use, the Watcher at the Threshold. For the most part, the content of Book of Magic is a collection of ceremonial magic techniques and Hermetic arts used later in the Golden Dawn tradition. There are also a few folk-magic inclusions like the magical use of a dozen drugs and herbs and how to make a dowsing rod. Interestingly, there is also a section on non-Euclidean geometry -- shades of H. P. Lovecraft's "impossible angles". It was the author's valiant attempt to graphically describe higher dimensions, with limited success. Occult architect Claude Bragdon did a much better job (visually) 56 years later in his book Four Dimensional Vistas (1930) and The Frozen Fountain (1932) through illustrations of hypercubes or tesseracts. As previously stated, the set comes in 3 parts: book, transcript, and talisman folder. All are contained within a slipcase. The book is handsomely bound in full brown calf with gilt title and border. Edges are hand-gilded. Interior boards are inset with black silk doublure with scalloped corners. Endpapers are decorated with a black and red fylfot cross tessellation (the fylfot is also discussed in the text). The text block is an exact full-color facsimile of the original manuscript (obviously penned by hand) which may present a challenge for modern readers. A second volume, a typed transcript, is provided for clarity. It is cloth-bound in a matching brown hue. 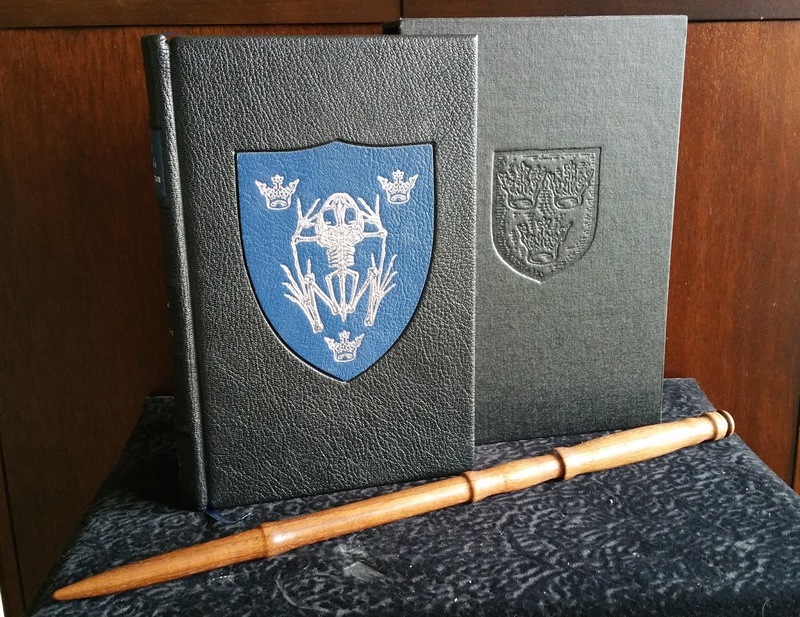 The third item is the talisman folder, also bound in cloth. Inside are eight vellum talismans blocked in gold. This book was offered for pre-order for one week. At the end of the week the number sold would be the total number produced for this edition. The final number was 196 copies. This is my preferred method of selling. It allows interested parties a reasonable chance to obtain a copy and avoids the mad dash and inevitable disappointment for those who are unable to get a copy due to slow emails, distant time zones, or because they couldn't immediately get financing in order. 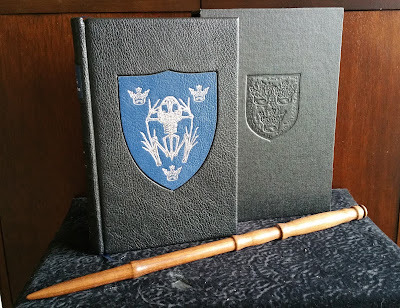 Book of Magic is yet another stunning release from The Society of Esoteric Endeavour. It is a talismanic book par excellence. 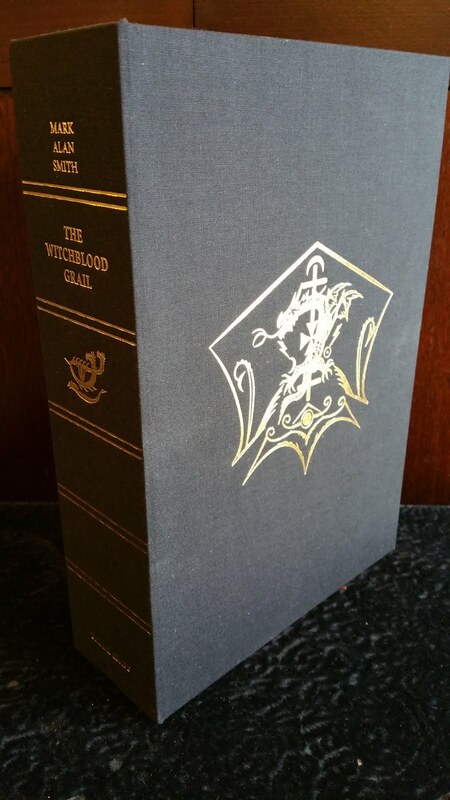 Primal Craft's The Witchblood Grail by Mark Alan Smith (Devil's Crown Edition). Illustrated in black and white by Lorein. Octavo. 394 pages. One of the more interesting parts is found in Book One, a chapter tilted, "Toadstone Familiars", detailing the creation and consecration of the toadstone. It is a peculiar adjunct to toadbone ritual. 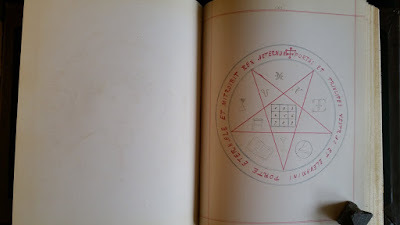 Like Mr. Smith's previous works, The Witchblood Grail contains full-page black and white illustrations (six of them) by an artist known only as "Lorien" along with countless sigils, seals, and other symbols used in magical operations. The book continues a familiar pattern of Mr. Smith's other works with heavy focus on poetic incantations and affirmations. His works are devotionals rather than straight forward instruction manuals, which may not be everyone's cup of tea. But do not worry -- there is no groveling or mindless supplication involved; the chants and orations are meant to empower the practitioner. Sometimes verbalizing one's intent aloud can be just the key one needs to unlock doors. Our screen-filled world has become so visually dominated that it is easy to overlook or forget the auditory components of magical practice. 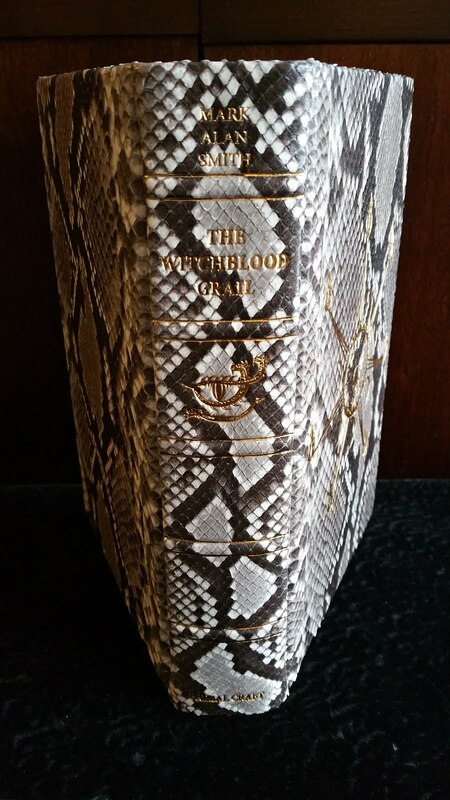 Like its preceding volume, The Witchblood Grail is fully bound python skin with five raised bands on the spine. This time it is black and white python instead of solid black. It has a mesmerizing quality about it and is a pleasure to hold. One could say the natural zig-zag pattern of the python skin reflects the "crooked path" taken by many practitioners, a path winding hither and thither like the snakes of the caduceus wand. 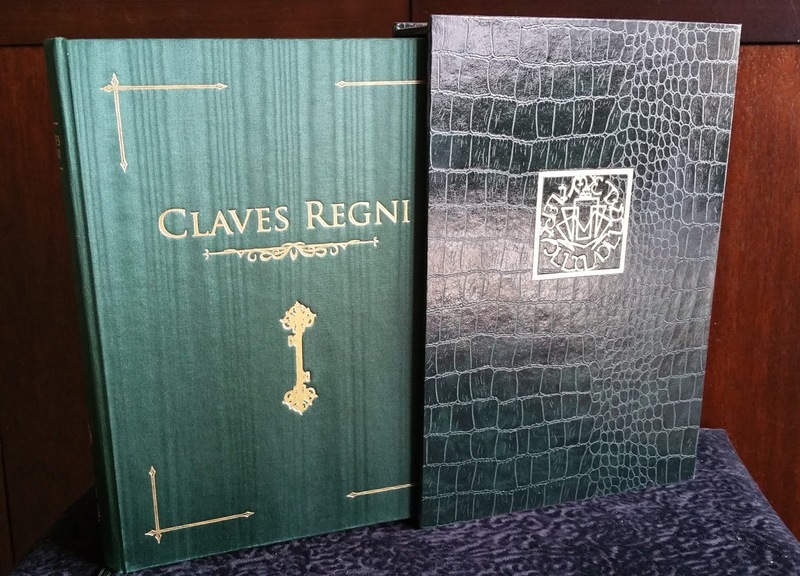 The cover is embossed with "The Devil's Crown and The Eye of The Dragon" in 24 carat gold. The symbol doesn't "pop" as much as the cover of the previous volume due to varied coloration of the snakeskin binding, but it does stand out sufficiently enough when light catches it, giving the impression of almost floating above the snakeskin. Black endpapers are embossed as well. 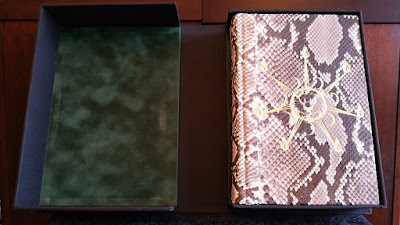 To protect the book the publisher includes a black solander box lined with emerald green suede. 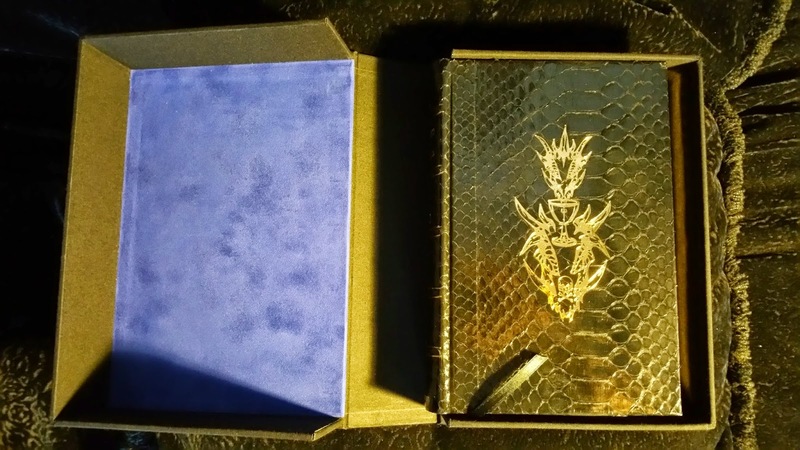 The front of the box is embossed with "The Seal of The Dragon God". The Devil's Crown Edition is signed and sigilized in ink mixed with the author's own blood and limited to 36 copies. It is also available in a high-quality standard edition (Dragon Flame Edition) is limited to 999 copies and is still available here. The Standard Edition is bound in a Red Lynnel Thermo Ibis, a luxurious suede-like material. Primal Craft's Standard Edition is what most publishers would consider "deluxe" (see image below). One wonders if they will continue the snake-skin theme with the next volume in the series, and if so, what form that will take. Perhaps a series progression from dark to light culminating with solid white python and symbolic of the purification process? Primal Craft's fine editions are truly extraordinary objects of sinister beauty. The Devil's Dozen: Thirteen Craft Rites of the Old one by Gemma Gary (Fine Edition), published by Troy Books. Illustrated in black & white by the author; photos by Jane Cox. Duodecimo (Twelvemo). 160 pages. "They are my own creations all; given in hope that they may provide usefulness or inspiration, and each a personal offering of devotion unto the starlit and smoking altar of the Old One." One of my favorite examples is a rite titled, "A Rite of Turning" designed to summon hell hounds and send them after someone who harbors ill-will towards the practitioner, or perhaps just for sport -- this is a black book after all. Additionally, the rites generally require simple materials that are not too exotic or costly. One suggestion is using a simple large flat stone for an altar. The book contains a handful of full-page, glossy, black & white photos (taken by Jane Cox) of practitioners performing rites described in the book. It also contains a number of spectacular full page black & white illustrations (untitled) by the author. Inclusion of a title page for the illustrations would have been a nice addition. One of my favorites is one found before the chapter, "The Light Betwixt" depicting a sabbatic goat standing in a thicket with a lit candle between its horns. 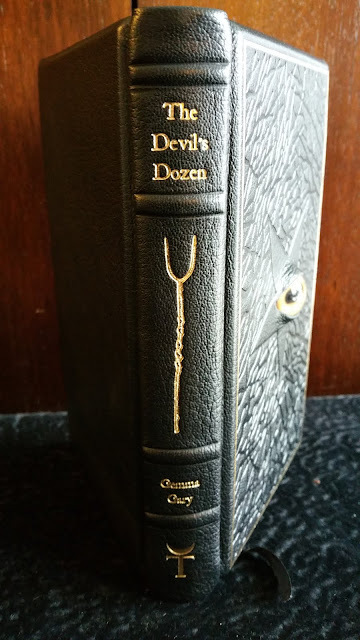 Rarely have I encountered a more delightfully diabolical-looking book than the Fine Edition of The Devil's Dozen (limited to 13 copies) The binder rides the fine line between tastefully dramatic and garishly over-the-top... and wins, creating something stylish, unique, and a thing of nightmares (in a good way). 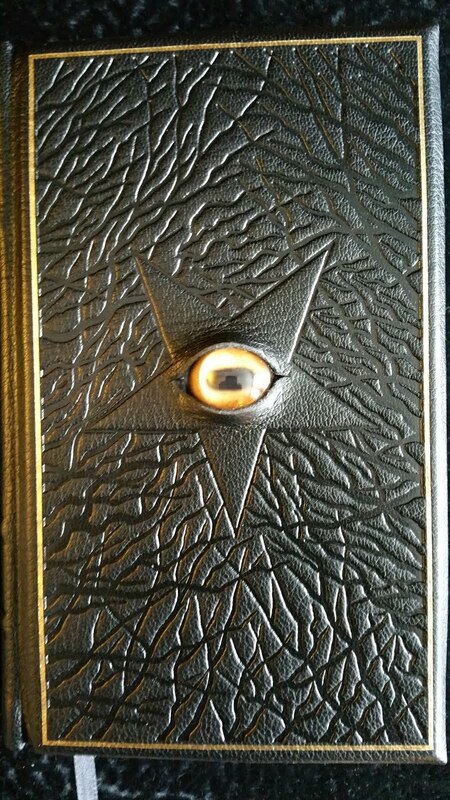 The book bound in full black goat with a gilt boarder (the leather has a faint scent of peat). The spine has 4 raised bands and is gilt-stamped with the title, author, and a golden stang. Heavy beveled boards give the book a little heft. At only 5 x 8 inches it is a nice portable size for carrying down to the crossroads. But it is the cover that is most memorable. 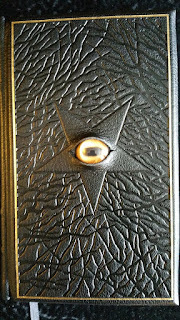 The cover is blind embossed with a pentacle resting on a bed of thickets. Peering out from within the pentacle is a glass goat's eye cabochon. It is an unsettling addition that makes the book truly unique. I swear that if one stares at it long enough it will blink. A trick of the mind surely, but an interesting effect nonetheless. The book is protected by a full goat leather solander box lined with black silk. The cover is embossed with a stylized Goat of Mendes with horns ending in twelve lit candles, a blazing six-rayed star between the horns, and the alchemical symbol for phosphorus upon its forehead. The box's spine repeats the six-rayed star pattern. This is one of the most delightfully unusual books I have seen in a long time. The Fine Edition sold out long ago, but the paperback and an attractive standard hardcover are still available here. 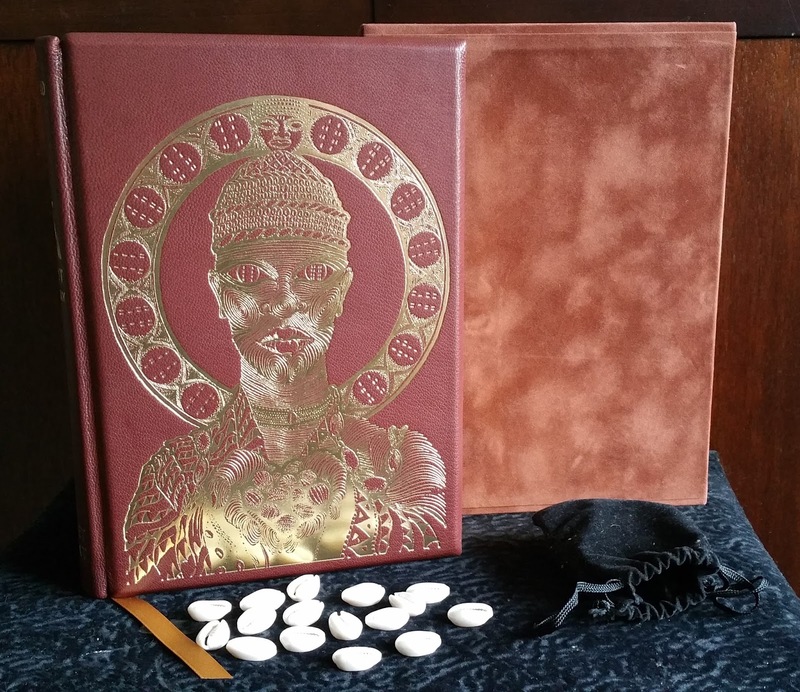 *Note -- Some readers may notice the absence of the Special Edition of The Triangular Book of St. Germain, a spectacular recent release from Ouroboros Press. My copy was received during the second week of 2016. Therefore it will be a likely contender for the 2016 Esoteric Book of the year. As much as I'd like to include it in this year's review, I have to draw the cut-off point somewhere. It will be something to look forward to in the coming year. 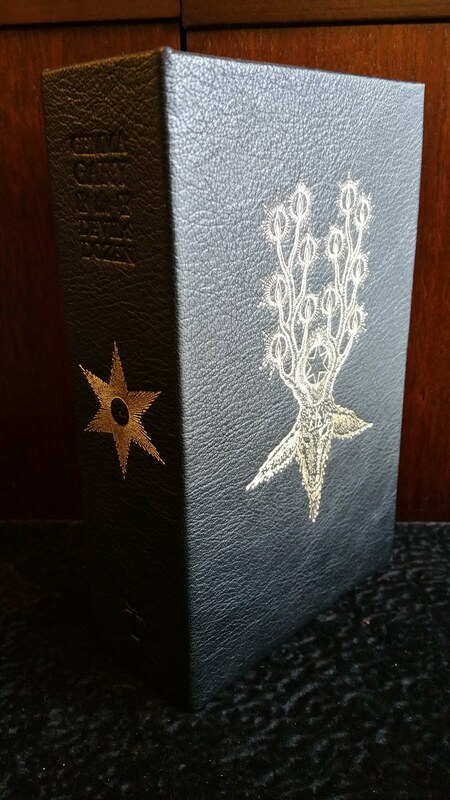 Lucifer: Princeps by Peter Grey (Dawn Breaker Edition), published by Scarlet Imprint. The layout and design of this book is absolutely incredible. Scarlet Imprint continues to amaze with their consistently elegant designs. The Dawn Breaker Edition effectively uses simple ornament and color that is symbolically appropriate for the topic. This was a very close contender for third place and the Bronze Talisman Award -- a tough decision. A truly luminous work. Witchcraft and Sorcery of the Balkans by Radomir Ristic (Special Edition), published by Three Hands Press. Bound in embossed boar skin. A great resource for anyone looking to study a witchcraft tradition outside the British Isles. Slim but filled with solid information. The Green Book by Heliophilus (Fine Edition), published by Scarlet Imprint. A fascinating book on plant alchemy (spagyrics). It is worth buying for the incredible full-color photography alone. ÞURSAKYNGI - Volume I - The Essence of Thursian Sorcery by EKORTU (Leather-bound Talisman Edition), published by IXAXAAR. Bound directly to goat leather creating a unique protective envelope with tied leather closures. Includes a horn talisman hand-carved by the author. Have a wonderful year, dear readers. Thank you once again for your continued patience during my extended sabbatical. It has been far longer than I had originally intended, but life is always full of surprises. Though this blog has been quiet lately, things have been very productive on my end. My sabbatical is coming to an end, but before I begin my next book review I wanted to bring up something I have been thinking about for a while; something I've noticed in the magical community and also within pop-culture, that is, the concept of genetic magical aptitude. In recent years I have noticed a common theme whenever magic or the occult appears in pop-culture. In the past it was usually demonized and portrayed as as a dangerous contagion one caught by reading the wrong books or associating with unsavory characters. Today it is glamorized (and highly fictionalized) to the point of looking more like comic book super-powers. What was once a skill attained through rigorous study, internal exploration, and personal sacrifice is now often portrayed as something people are simply born with (or not), like a mutant power, and full of various pyrotechnics. Magic is too often the sole domain of "chosen ones" or charmed family lineages. Is this a reflection of the increasing gulf between the "have" and "have nots" in our society? Are we too focused on physical/racial differences? Could this be a metaphor for rising inequality in the West? Or is this an indicator of society's willingness or desire to experiment with bio-engineering and trans-humanism? In pop-culture it seems that magical powers often come about as a result of a "magical puberty", that is, magical abilities that spontaneously appear during the teen years. Regrettably such experiences are usually lacking any initiatic circumstance, rite of passage, or personal sacrifice; powers simply appear like strange hair-growth -- a birthright, nothing more. Harry Potter -- While it is an obviously fictionalized world of witches and wizards, its influence on actual magical communities cannot be ignored. I have often heard various Harry Potter terms and concepts (Potterisms) adopted by so-called serious magical groups. It sounds ridiculous, but popular culture is a powerful medium, perhaps even one of the most powerful. The Harry Potter stories are certainly charming and entertaining, but unfortunately J.K. Rowling's world is one where people are either born witches or they are not. It does not matter how smart or clever one is; you either have it or you don't. Witches and wizards are basically a super-race that lives outside the normal confines of the mundane world. Regular people, "muggles", are physically unable to engage in magic and relegated to a lower class. Now, her stories may emphasize the inequalities and evils of caste systems, but it still offers little hope to those on the lower rungs of society. The Dresden Files - The series' main protagonist, Harry Dresden, is a wizard who uses his powers to solve various murders and mysteries. The popular novels are fun detective-noir stories set in a world where magic is a reality, but only to a select few. Unfortunately, here again we have a magical caste system. Harry's father was a lowly stage magician, but his "real" magical powers come to him via his maternal line. In the novels Harry increases his magical aptitude through study and experience, but he still gets his basic abilities through his special genetic inheritance. Again the message: You don't have to work for it, it's handed to you at birth. Television shows like: Salem, Sleepy Hollow, Game of Thrones (including the books), Grimm, Supernatural, Penny Dreadful, and American Horror Story (Season Four - Coven) all portray witches and other magic practitioners as being born with their powers and as a separate class/race of humanity. Not born a witch? Don't bother -- you aren't one of the chosen. Still, it is not all bad. There are a small minority of current occult/magic fiction writers that are extremely creative, knowledgeable, and write from experience. In my opinion, top among these would be Richard Gavin, Patrick Rothfuss, Reggie Oliver, and Ron Weighell. In most of their stories magic is accessible by all, for better or worse. So it begs the question, could all this be intentional? Is it too dangerous in our culture to imply that "regular folk" could just pick up a book, and given enough study, actually become magically adept? That was the fear during the "Satanic Panic" of the late 1980s. It was believed that young people were putting their souls at risk by reading "dark books" or by listening to heavy metal. Perhaps many of today's writers are simply are not very creative, preferring to simply follow current trends. Or perhaps our increasingly restrictive society does not want to empower people too much by making them aware of their true potential. Instead, magical power is held out of reach and reserved for an imaginary genetic elite, or is portrayed as something so fanciful that most would not even entertain the idea that it could be real. The reality is that is magic is everyone's birthright, given a little study. This unfortunate theme appears again and again throughout pop-culture, especially Young-Adult fiction. It is so ubiquitous that it generally goes unnoticed. If the theme remained within fiction and entertainment it would be a non-issue, just another literary trope, but art is a powerful force that can affect our society for tremendous good or ill. Ironically, it could also be a sign of growing disenchantment in the world. People want to see magic in the world, but most think it is impossible, never realizing that magical ability is within all of us. 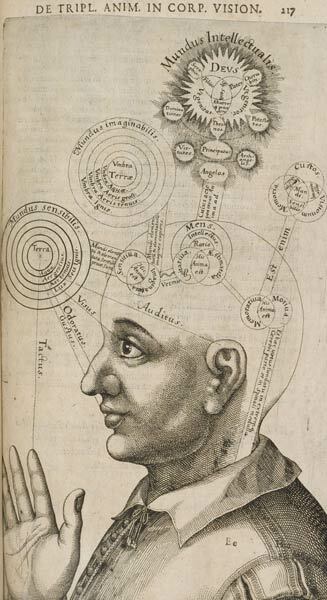 They see magic, if possible, as an evolutionary game of chance; you either have it or you don't, determined like some kind of magical phrenology. Nothing could be further from the truth. What is perhaps more disturbing is the built-in common plot device of pre-destination. What are we saying about personal choice in the world (or lack thereof)? Characters are stuck with their abilities much like they are stuck with their eye-color. They are born a witch/wizard thus removing the element of choice, personal will/desire, and ambition. It misses the whole point of what magic is really about. Magic is about willfully causing change in the world or within oneself (though one could argue there is no difference between the two). Someone born a witch/wizard is robbed of that crucial choice. Magic becomes a natural involuntary action to them, like breathing -- its already in their DNA -- there is no choice, no directed will. I feel this a very negative message and very dis-empowering, promoting notions of genetic superiority (or inferiority). Additionally, powers are often phrased as "gifts", implying that powers are typically dropped in one's lap rather than being hard-won though intense study and one's own achievement. In so doing it cheapens the skill. Why work hard or seek something greater when it all comes down to genetics and choice breeding? While this sentiment appears most often in entertainment, recently I have noticed it more among magical communities. Misunderstood notions of having "witch-blood" is concerning. I have come across this and similar concepts in countless conversations and online posts. This term is generally used to refer to a spiritual connection between people, not a literal blood-line or genetic link. Again, just as with religion, it is the literalists who create most of the problems. Of course there is something to be said about natural ability; someone who stands 5' 4" will have a tougher time making it into professional basketball than someone 6' 7" tall, but it is not impossible. Some things are naturally harder for some than others -- we all have our strengths and weaknesses -- but rarely does it disqualify people altogether. One need only look at the amazing physical feats disabled people have achieved in recent years to see that limitations are usually only in one's mind. Recently I met with a group of people involved in the Spiritualist movement. Most were very advanced trance-mediums. A few of them had startlingly impressive psychic abilities. They knew specific details about me that would be impossible for them to know (and yes, I know how cold-reading works. This was not it). While we may disagree on the mechanics behind how it all works or where the information is coming from, the phenomena remains very real. I joined them for a seance and later for a table-tipping session. What I found most intriguing was their healthy perspective towards their abilities. Most striking was their humble attitude -- a rare trait in magical circles of any tradition. All present felt that there was nothing special about them; they were just like everyone else. Furthermore, there was no talk or boasting of magical lineages or who was trained or initiated by who. All their abilities came through training and hard work. They all believed that anyone could do what they did given enough training. patience, and time. I believe them. However, in my experience this seems to be the exception rather than the norm. Instant-power, or power-through-birthright/lineage, attitudes are a prevalent and a hard-wired feature in our culture, sadly. There has been a de-emphasis on hard work and earned achievement. Instead, we prefer short-cuts -- anything quick and easy with instant results. And what could be more easy than being born with a magical silver-spoon in one's mouth? However, what's more unfortunate is the number of people who believe they have a ceiling to their abilities when really they have the power to reach the stars. I welcome comments and discussion from my readers. Thank you for your continued patience, dear readers. When I decided to go on sabbatical near the end of April I had no idea that it would lead to an extended and productive period of research, creativity, and personal exploration. Solitude, especially in very remote and wild areas, has its way of recalibrating one's perspective. It is along the lonely back roads, the deep hidden valleys and grottos, or high atop wind-swept bluffs that one is most likely to encounter a sense of another world. I had planned for a simple, quiet, and relatively brief break from the daily routine. Instead, my short period of respite has turned into an extended and on-going hermitage out in the savagely beautiful hinterlands. I have spent so many years with my nose in books (or in front of a screen, sadly) that I became blind to certain signs, changes, and processes occurring around me; a sort of academic myopia. Then, after an unexpected spiritual vivication, answers to difficult questions with which I had previously struggled were suddenly right there -- they always had been -- all I had to do was notice. Not just look, but actually see. This has been a not-so-subtle wake-up call. I believe that everyone needs to see the world with renewed eyes now and then. Sometimes it takes stillness, desolate places, and isolation and for us to quell our internal chatter and finally hear the voices that have been trying to assist us all along. I felt my readers deserved an explanation for this blog's inactivity as of late, and I do hope you understand. I am sure many of you have had similar experiences along your varied paths, so to some extent I may be preaching to the choir, as they say. After all, vision quests are an essential feature of many magical traditions. Rest assured this blog will return soon with fully recharged batteries and all new reviews. Thank you once again for your patience and for your continued support of Balkans Arcane Bindings. My apologies for delayed reviews. I am currently on sabbatical in the countryside to focus on long-neglected study and research. My sabbatical will conclude with a week-long stay in solitude at an allegedly haunted rural church owned by a good friend. I will return very soon with a new review. Thank you for your patience, dear readers. I recently received a very nice and fascinating letter from Mr. Steve Patterson, author of last year's Esoteric Book of the Year, Cecil Williamson's Book of Witchcraft: A Grimoire of the Museum of Witchcraft. Mr. Patterson graciously gave me his permission to share the letter on this blog. I hope my readers find it equally fascinating. In the letter Mr. Patterson offers a glimpse into his creative process and comments on how he made the Presentation boxes for the Special Fine Edition, and how they are "energetically" linked to the Museum of Witchcraft. He also discusses making six Blackthorn boxes for Andrew Chumbley at the author's request. Mr. Chumbley intended to place some esoteric tracts in them and distribute them privately. The Blackthorn boxes and their contents have since achieved a near-legendary status. I would like to thank you for your prestigious Golden Talisman award, and what a fine accolade that is to be sure! Of course thanks really need to be given for the Troy ladies and their fine production and those all too often anonymous and unsung craftspeople that did such a spectacular job of its binding. It has been a long journey bringing the book in to the world, and looking back over time, it’s strange how that during the time of its creation, attitudes and perceptions have changed so much. When it began there was little regard for the old (non-Wiccan) craft, it was seen as at best a romantic fancy but most often as an irrelevance or an outright fabrication, and likewise there was little regard for Cecil Williamson. His work was indeed seen in the same manner. This was quite simply why I had access to all his unpublished material; literally no one seemed to see it for what it was or have any interest in it. Now however both seem to be taking their proper place in history. If there is a message in this book it is to persevere and stick to your guns! Apart from using my battered old laptop for writing I generally avoid computers like the plague (I often speculate that The Cecil Williamson book is probably one of the last books ever to be written that employed no use of the internet! ), so consequently I am somewhat out the loop regarding new publications. 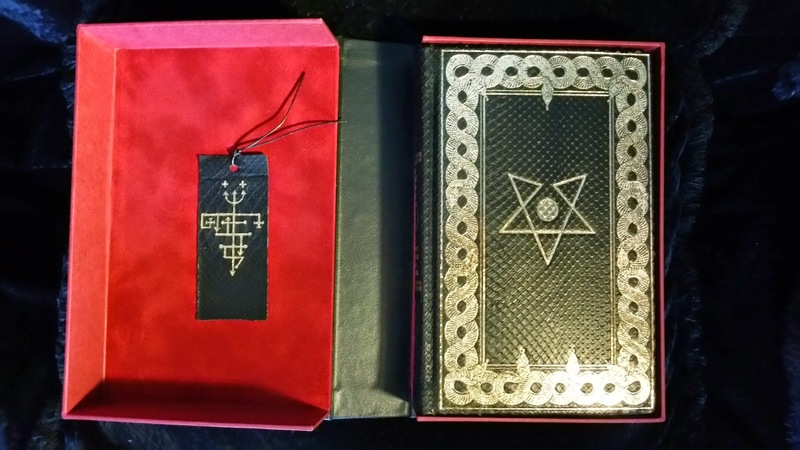 Reading your review (which was kindly printed and shown to me by my publishers) I was amazed to see how many wonderfully produced deluxe Occult publications there are around nowadays. Their certainly is some intriguing stuff out there. I must say I can’t imagine why one would want to use a pentacle for disrupting the cosmic order and drawing in the dragon forces from the other side. If any one does I do rather hope that its effect is localised! The Presentation box for the “Cecil Williamson book of witchcraft” is crafted from Devonshire Oak. The Timber is previously unused. I always use rough sawn boards straight from the tree. I like to think that this keeps some of the original elemental force intact. I take a sculptural approach to box making (rather than that of pure cabinetmaking), I start with a rough shape and through many different processes of cutting, and scraping and abrasion bring it to its final form. It is a process of creation/dissolution/creation. The finished results are consequently all original and the subtle variation of dimensions and angles has a peculiar effect on the perceptions - in much the same way that the irregularities in gothic architecture give it its effect. The hinges, nails and rivets are also all handmade and beaten from copper. There is indeed a Venusian resonance there (Venus/copper and Jupiter/oak are indeed very apt materials for such a book …it didn’t occur to me before! ), but the main significance, apart from the fact that copper is such a wonderfully aesthetic material and seems to work so well with oak (Copper fixings are traditionally used with oak as iron can cause staining and discoloration), is that it is a nod to the old ‘Tinkers’ or itinerant copper workers …who of course were a venerable tribe of sorcerers who bought many of the Pellar mysteries to this land. Point taken about the potential over use of boxes with deluxe occult tomes. I would like to think however that this was not just a novelty with the Cecil Williamson book; it is expressing a kind of continuity which is embodied in the publication. Firstly, I am a woodcarver by trade and I have provided much of the woodcarving around the Boscastle Museum of Witchcraft and Magic, which is of course built upon Cecil Williamson’s Collection. There is consequently a very real connection between these boxes and the work of Mr Williamson. In fact in a recent commission for the Museum some of the same batch of timber was used. These boxes could be said to be energetically linked to the very fabric of the Museum and Cecil Williamsons collection in a very direct way. 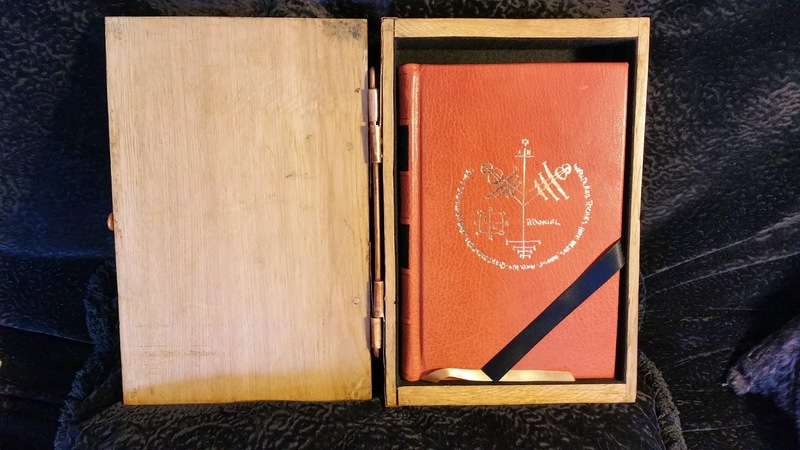 Secondly, although I cannot lay clamed to originating the idea of wooden boxes for Deluxe occult books (I believe Manly Palmer Hall did it some time ago) I feel I was unwittingly involved in there resurgence. Some years ago Andrew Chumbley (Then magister of the Essex based Cultus Sabbatti) asked me to make him half a dozen blackthorn boxes in which he wished to place some esoteric tracts and distribute them to certain initiates of the arte. As we all well know that due to the vagaries of the publishing industry, that even though books may change hands for a large price, this rairly filters back to the author. Even though Andrews books were starting to sell for a considerable price he was still an impoverished writer, mainly living off of selling his artwork at the time and I was an impoverished woodcarver, mainly living off casual farm work. (Once whilst musing on the fact that occultists never seem to have any money, with his characteristic dry humour he replied “There is something I believe in the small print.”) …anyway, I digress. 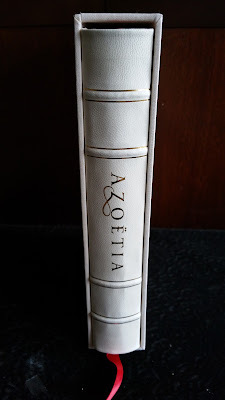 I still have a letter from him asking me if I would be willing to exchange the boxes for two copies of the new edition of the “Azoetia” when it came out. With my usual complete lack of business acumen I said to him – Why on earth would I want two …just give me one. I still have the Azoetia, and the blackthorn boxes have gone out in to the world and I believe have attained an almost mythical status. In short, I would like to think that these oak boxes for the “Cecil Williamsons book of witchcraft” draw a direct line of decent from those old Cultus Sabbati Reliquaries. For me personally it also is a way of honouring Mr Chumbley, for it was he who first planted the idea that I should write a book …He even gave me the title. It wasn’t this one, it’s still hovering there in the astral waiting to be written, but that is another story. Anyway … once again thank you for your award and I am glad you derived so much pleasure from the book. Maybe someday I will claim that drink from you! Coming very soon.... My next review will be the Deluxe Edition of Angel Millar’s Freemasonry: Foundation of the Western Esoteric Tradition published by Salamander and Sons. Books will be judged by the following criteria: binding, materials, design, talismanic intent & method of consecration (if applicable), artwork/layout, and editorial rigor. Books are chosen from those released and delivered (in full) within the year 2014 (even though they may have a 2013 publication date). This is because books tend to encounter publishing delays. It is especially common in esoteric publishing for a number or reasons (including some of high strangeness). For example, a 2013 book may not actually be available until 2014 in some cases. Books will not be judged by their topic, theme, or content (other than grammar). This may sound strange, but I feel it is unfair and pointless to compare or make value judgments between different magical paths or traditions (like comparing apples to oranges). While I do my best, I am not qualified to judge and assess every magical system the world has to offer; I very much doubt such a person exists. Therefore, books will be judged by their craftsmanship, editorial competence, creativity, and beauty only. In recent years there has been a dramatic increase in the publication of deluxe esoteric books. This is certainly good news to publishers, readers, and collectors; however, it is becoming increasingly difficult to keep up with such voluminous output. Frankly, there is not enough time for any individual to read and assess every deluxe esoteric book published in a given year. A few years ago it was possible, but no longer. This is a good "problem" to have, though some very important and noteworthy books may end up falling through the cracks as a consequence. Therefore I apologize in advance to publishers and authors of books I may have overlooked. To help remedy this, and give credit where credit is due, I invite my readers to post titles of deserving books (from 2014) that may have been overlooked in the comments section of this post. And now, Balkan's Arcane Bindings pick for the English language 2014 Esoteric Book of the Year. Troy Books' Cecil Williamson's Book of Witchcraft: A Grimoire of the Museum of Witchcraft by Cecil Williamson and Steve Patterson (Special Fine Edition). Octavo. 304 pages. There is a wonderful story behind this book: About twenty years ago, while helping with refurbishments at the Museum of Witchcraft in Boscastle, Steve Patterson discovered a curious manuscript written by the museum's founder, Cecil Williamson. Its title read simply, "Witchcraft". The manuscript contained a number of charms, instructions, and philosophy the author believed were authentic examples of traditional witchcraft as practiced in the West Country by the wayside witches, or "Aunty Mays", as they are sometimes called. Lastly, the author discussed his interactions with notable figures Gerald Gardner and Aleister Crowley. Now, a couple decades later, Cecil Williamson's Witchcraft book is finally available to the public. The book includes an annotated transcript of Williamson's Witchcraft manuscript plus historical background on Cecil Williamson and the Museum of Witchcraft. This is a very important work that will help historians and practitioners decipher which, if any, early witchcraft practices survived unbroken into the 20th century, and if so, are they still present in so-called "modern" witchcraft? Interestingly a recent discovery in Cornwall may finally prove the existence of an unbroken witchcraft tradition reaching from the 1640 to as recent as the 1970s. Read the article here. Steve Patterson's contributions are considerable, approximately two thirds of the book's 304 pages. Mr. Patterson's passion for the subject is clearly evident by his thorough annotations, copious notes, inclusion of historic photos, comprehensive history of The Witchcraft Museum, exhaustive appendices (nearly 100 pages! ), and index. A remarkable feat. Watch Mr. Patterson discuss the manuscript here. I'd like to buy the man a pint. Mr. Patterson was recently interviewed by Karagan Griffith at On the Black Chair. Listen here. 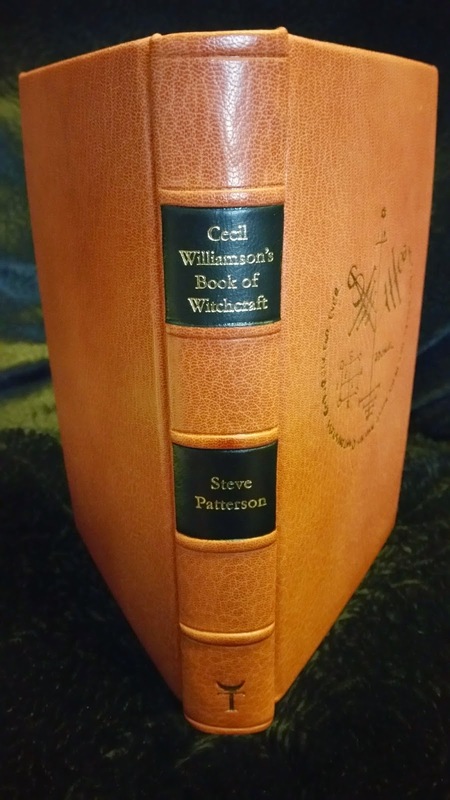 The Special Fine Edition of Cecil Williamson's Book of Witchcraft resides within a stout oak box handmade by the author, Steve Patterson. Only 10 were produced. The box's hinges and clasp are made of hammered copper. Copper nails are also used in the box's construction. One can perhaps assume that copper, associated with Venus, was chosen for its historical use in witchcraft and for its conductive properties. The wood does not appear new, so I have the impression that the wood used for the boxes is "reclaimed" lumber of some variety. If so, I makes me wonder what its previous use may have been. It is immediately obvious the box is handmade, most notably from its charming irregularities. For example, the bottom of box is constructed with beautifully mismatched wood planks. Its rustic construction and hand-carved ornamentation, a central charm claiming, "Who so bears this sign about him, let him fear no one, but fear God", lends the box a hoary and arcane air. 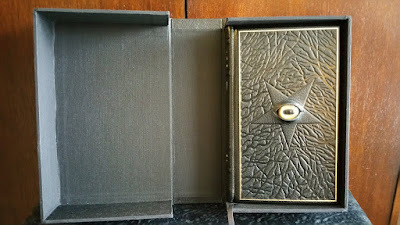 The inside is lined in black felt and contains a ribbon book lift to assist in removing the book from its oaken abode. The book is bound in full, hand finished, terracotta goat. The leather has an almost candy-like scent, like cherry taffy. The cover is gilt blocked with a prosperity charm. 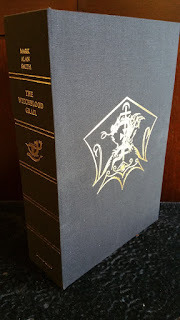 Title and author are gilt blocked on black leather labels adhered to the spine. The spine has six raised bands with the publisher's colophon gilt stamped at the book's tail. Accents include a gold ribbon place marker and marbled endpapers in russet, green, and cream. Cecil Williamson's Book of Witchcraft is as talismanic as they come. It is a phenomenal mixed-media expression of Steven Patterson's understanding of witchcraft and his reverence for the tradition. Astounding. As of this writing, Standard and Fine Editions are still available here. *This year there is a tie for second place and the Silver Talisman Award. The books are so similar that I feel they deserve equal ranking. IXAXAAR's The Book of Sitra Achra by N.A-A.218 (Deluxe Edition). Octavo. 309 pages. Author N.A-A.218 and IXAXAAR have succeeded in crafting one of the most fiendishly elegant books I have ever laid eyes upon. It exudes lethal doses of beauty and menace; an alluring cocktail of captivation and corruption. The Deluxe Edition is bound in full black python. The scales are small and more pliant than one would expect. I often think of snakeskin as delicate, and sometimes rough or brittle when touched against the grain. However, the skin used for this binding has been softened to an almost rubber-like texture. It is an exquisite material yet tough enough to be used in ritual as intended. 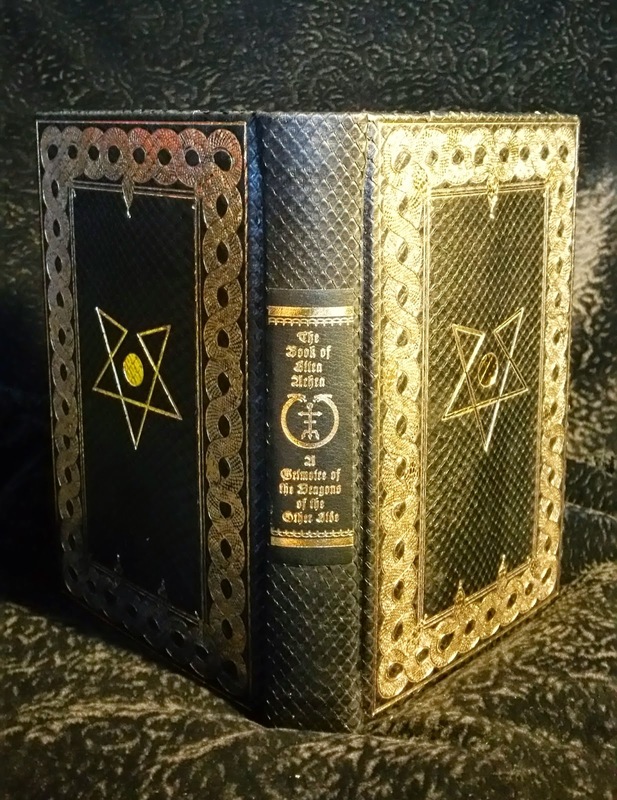 The cover is gilt stamped with braided snakes and a central open-ended pentagram representative of, "the breaking of the ten angles of the pentagram, bringing about the disruption of cosmic order and the intrusion of the powers of the Dragons of the Other Side." Page edges are gilt. The book's boards are surprisingly thick (nearly one quarter inch), giving the book a solid construction. Head and tail bands are black leather. The book is just as beautiful on the inside: The reader is greeted with marbled endpapers that I liken to gilded cobwebs stretched across an abyss -- a symbolic representation for traversing a perilous path across the Abyss and through Daath. Pages are cream-colored, medium weight, and lightly textured with a vertical grain. The Deluxe Edition also comes with an omitted chapter in booklet form, described as, "a ritual for the attainment of contact with the Guardian Angels of this Sacred Work of the Thoughtless God". It comes inside a large black envelope. Unfortunately it is too large to fit inside the solander box along side the book. It would have been convenient to store both works together. The book concludes (Chapter 11) with specific incense blends for each of the Qliphotic Rulers and recommendations of specific magical tools. Each of the 61copies of the Deluxe Edition comes with a hand-sigilized python-skin bookmark talisman "dedicated to one of the 60 Emissaries of the Black Light, linking thus each book to one of those Standard-Bearers of the Qliphoth (with book 61 being the sole exception, bearing instead a separate Talisman and enlinkment)". 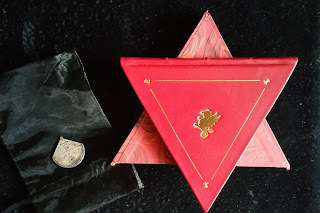 What I find most interesting about these talismans is their stated purpose, "These talismans were added as additional gifts for those who know and understand to cherish them and as a concrete curse upon those who for more materialistic reasons have reached out for these Talismans of Sitra Achra". Could this perhaps be the author's way of fighting grimoire scalping? It appears so, a tactic for which I wholeheartedly approve. One may want to reconsider their actions before hastily placing their copy on Ebay at ridiculously inflated prices. For more on grimorie scalping see additional commentary here. 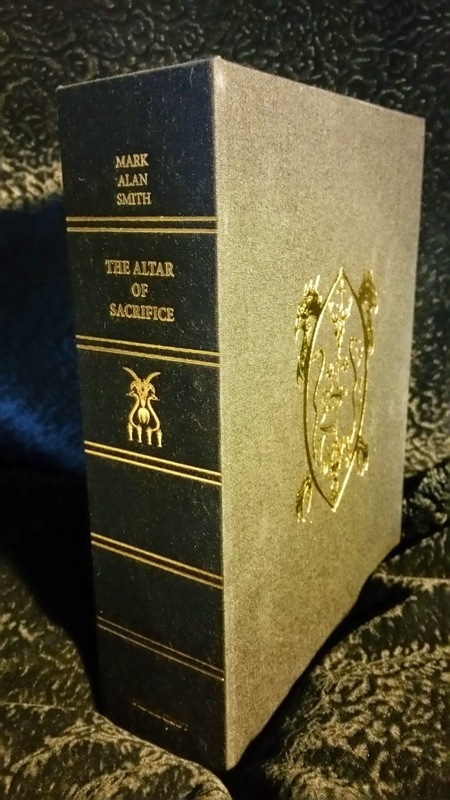 Primal Craft's The Altar of Sacrifice by Mark Alan Smith (Sacrificial Soul Edition). Illustrated in black and white by Lorein. Octavo. 400 pages. There are a number of obvious similarities between The Altar of Sacrifice and The Book of Sitra Achra. 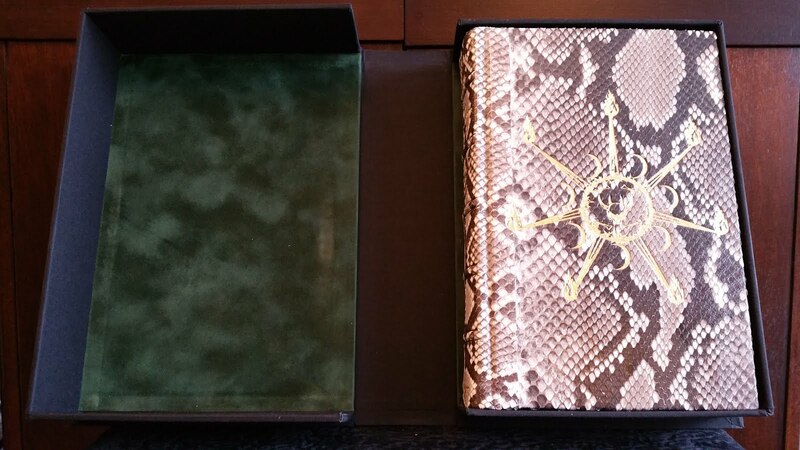 Both are bound in full black snakeskin over heavy millboard covers, are gilt stamped, and include solander boxes for protection. In each case the solander box (also called a "clam-shell" box) was a wise decision. 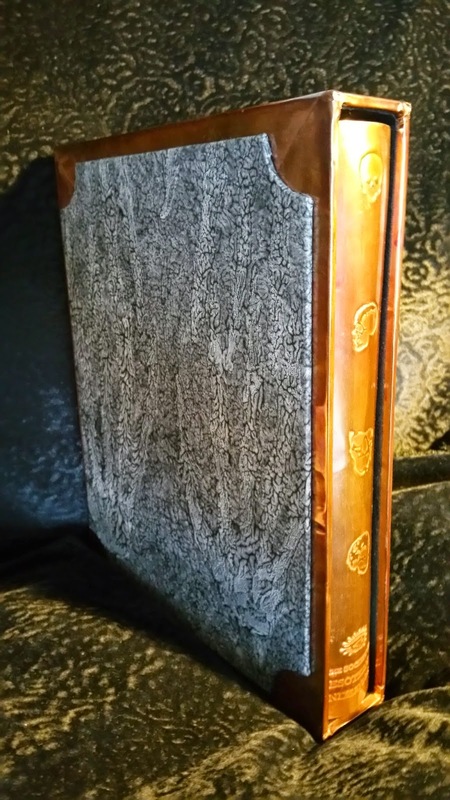 A slipcase would have likely caused wear or damage to the snakeskin scales through friction with the slipcase if the book was slid inside against the grain. That danger is avoided entirely by lifting out of the box -- no sliding necessary. Deciding which book was better was like splitting hairs -- each has its own unique serpentine charms -- so, deserving it equally, I decided they should share second place. The Altar of Sacrifice differs in a few significant ways. First, the snakeskin binding has much larger scales than The Book of Sitra Achra and has a high gloss (this may vary from copy to copy). Secondly, it is a much larger book -- nearly a third larger in thickness and significantly heavier. This is mainly due to the book's heavy weight paper (almost card stock). It also has nearly 100 more pages; 400 (including 10 pages for notes) compared to The Book of Sitra Achra's 309 pages. The solander box is covered with fine black fabric. 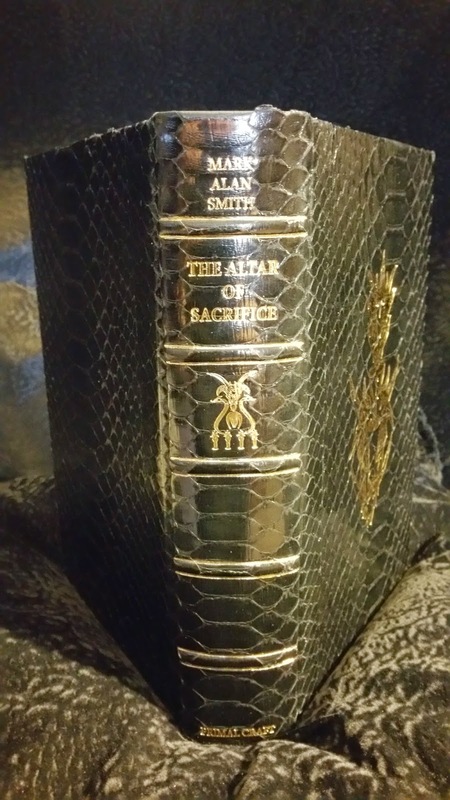 The spine is gilt stamped with the author's name, title, press, five bands, and a device described as the, "Seal of the Queen of Hell's Throne". Inside the books rests upon royal blue suede. The book's spine has five raised bands lined in gold and contains the same content as the spine of the box. It has a deadly beauty about it. 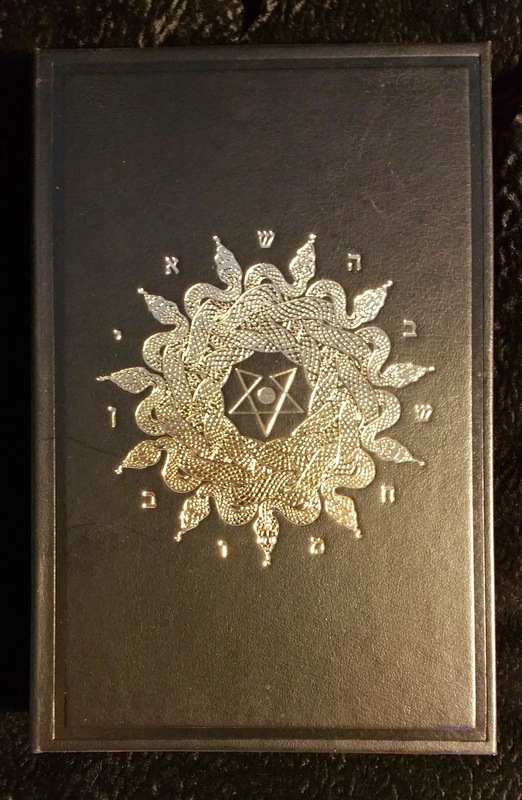 The cover is gilt stamped in 24 carat gold with, "Sacred Seal of Flesh and Fur". 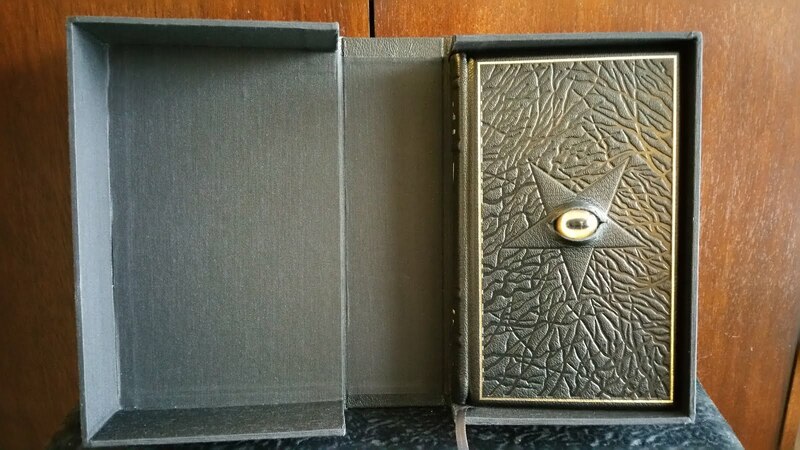 The inside has solid bronze endpapers and includes a black ribbon place-marker. Page edges are gilt and off-white. The book has six spectacular full-page illustrations by an artist known only as "Lorein". My favorite is titled, "The Formula for Soul Inversion" (found on page 51). It depicts a dragon-like demon holding a trident. 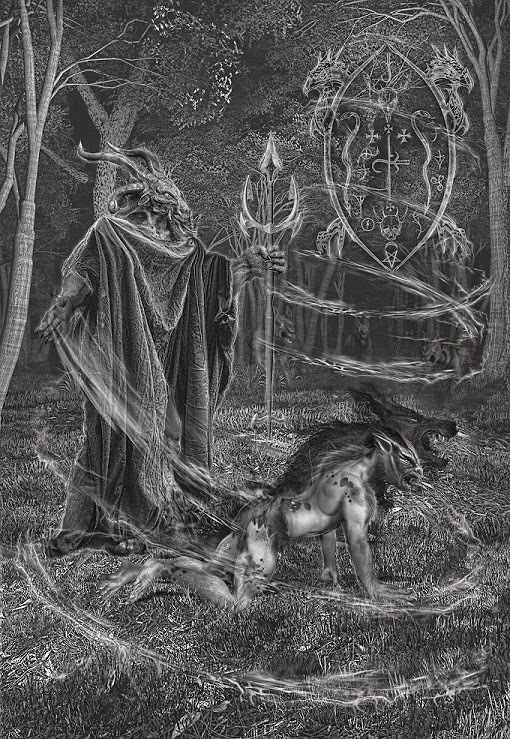 He (Belial) is standing over a man that is shape-shifting into a wolf (or wolf into man). Other wolves watch from the forest's edge. The "Seal of the Queen of Hell's Throne" hangs in the night air. The level of detail is incredible -- a striking image of sorcery and lycanthropy. Lorein has also recreated all the interior designs found throughout the book: seals, sigils, gates, etc. from Mr. Smith's personal notes. **Update -- Thanks to Mr. Smith for giving me permission to use the work mentioned above, "The Formula for Soul Inversion", for this review. "The Formula for Soul Inversion" by Lorein. Used with permission from Primalcraft.com. The Altar of Sacrifice's subject matter is certainly a controversial one. As the title implies, its primary theme is sacrifice, including animal sacrifice (One animal was clearly sacrificed for the book's elegant binding). Mr. Smith addresses the subject deftly and honestly. He also acknowledges is not the path for everyone, saying, "The way of the Bloodless Path is as valid and noble as the Way of Sacrifice when beheld by the Eyes of Gods." Mr. Smith's path of sacrifice is similar in some ways to Kosher methods of slaughter (Shechitah): ritualistic, respectful, and as painless as possible. Many readers are likely to object to this, though it would be a rather hypocritical stance if they are meat-eaters. Most Westerners prefer their meat to be a "product" that is as unrecognizable as possible from the animal of origin. Most could not look their food in the eye, nor wield the killing blade. Yet they order their Big Macs without a moment's pause -- out of sight, out of mind. Furthermore, large-scale factory slaughterhouses have very little respect for the animals they "process". That said, it is my personal belief that sacrificed animals should be consumed. I should be clear that I have strong feelings against killing or inflicting pain solely for the act of killing or torture. For more on this subject check out an earlier post here. Like many of Mr. Smith's earlier works, The Altar of Sacrifice includes a large number of prayers and petitions. The book is divided up into three parts: The First Book of Sacrifice, The Book of the Temple of Four Pillars of Fire, and The Book of the Dragon God. The Sacrificial Soul Edition is signed and sigilized in ink mixed with the author's own blood. The Society of Esoteric Endeavour's The Graveyard Wanderers: The Wise Ones and the Dead in Sweden by Dr. Tom Johnson. Wide Octavo. 106 pages. This one was a delayed entry from last year. The book came out in 2013; however, the handmade copper slipcase did not arrive until 2014. Therefore the entire package will be counted as a 2014 entry. There has been a small but significant resurgence in Scandinavian folk magic books recently. 2013 saw the printing of Fredrik Eytzinger's Salomonic Magical Arts. 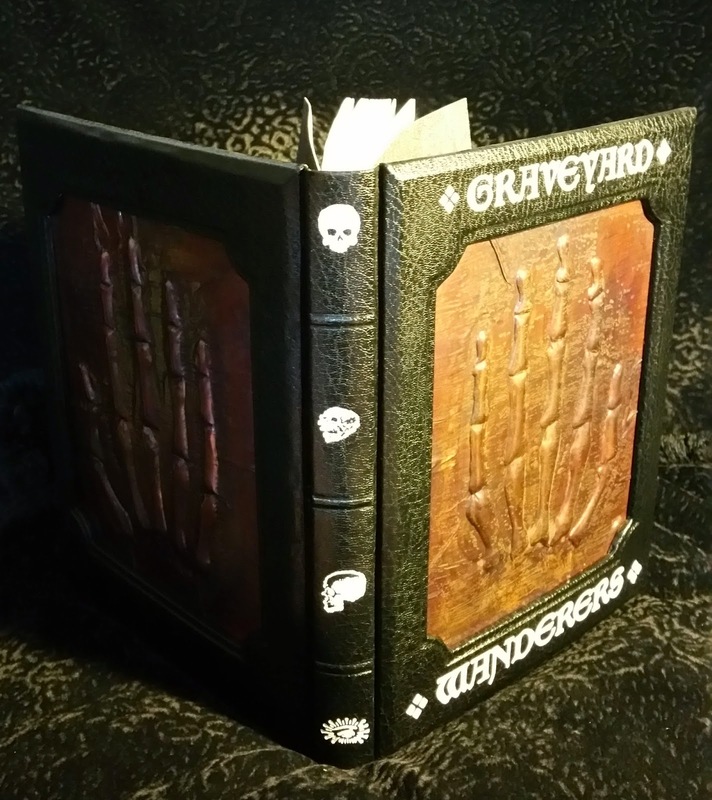 Shortly after, Dr. Tom Johnson translated 37 "Svartkonstbuchs" (black art books) and collected them together to create this wonderful book of Swedish necromancy titled, The Graveyard Wanderers: The Wise Ones and the Dead in Sweden. Later this year Johannes Gardback's Trolldom: Spells and Methods of the Norse Folk Magic Tradition will be also available. The Graveyard Wanderers collects dozens of charms used primarily for controlling spirits of the dead, but also contains a number of near-universal folk charms for: winning at games of chance, becoming invisible, healing, detecting thieves, shape-shifting, bewitching firearms, and even for catching fish. The book concludes with a fascinating afterword, "The Wise & Their World", followed by a bibliography, and footnotes. This is artisinal bookbinding at its most creative. The creator, Ben Fernee of The Society of Esoteric Endeavour, put a tremendous amount of thought and personal knowledge into this. 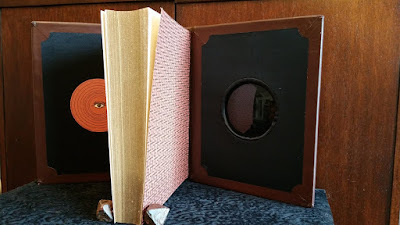 The first thing that catches the reader's eye is the marvelous, hand-made, copper-clad, slipcase (offered optionally). The case has heavy, scalloped-cornered, and gray marbled boards on each side. Note the faint skeletal hands in the pattern. 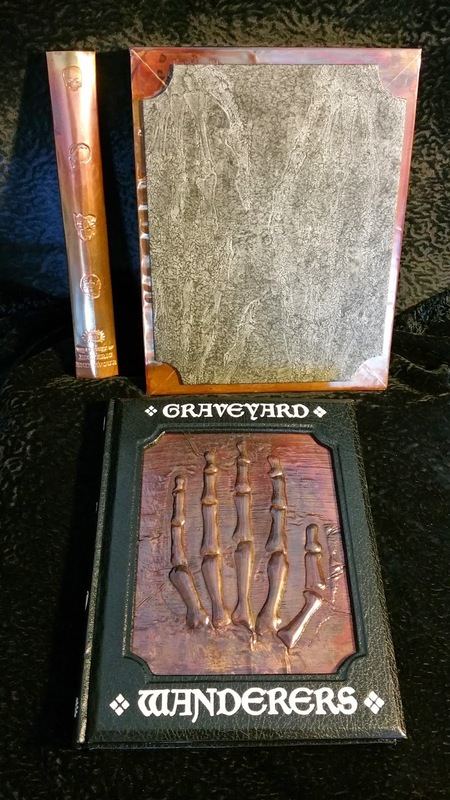 The book fits snugly inside and is protected by a copper spine cap stamped with four skulls. When completely enclosed the book is thoroughly protected. Perhaps the copper case serves a secondary purpose by providing protective "shielding" around the book -- a bibliopegistical Faraday cage, if you will. The case and spine cap are lined with black felt. "The Wise Ones would pay for the services of the Dead by leaving in place of the bone, a piece of metal in the form of a coin or a scraping from a church bell. 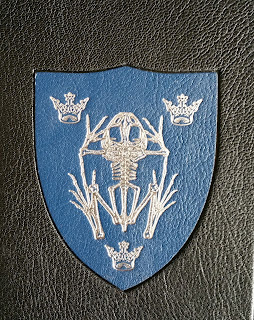 Metal is an ideal vehicle for the transmission of deathliness ... the form of skeletal hands in the binding of this book, so the reader feels the shape of dead fingers interlaced with their own. Bones are the part of us that persist after decay, and here the copper that forms their shape has been patonised, whereby the natural oxidation process is accelerated and stabilised. The result are iridescent colours, an effect referred to as the "peacock's tail" in alchemy, where it is identified with the stage of decay in the Great Work. The patonised copper is then preserved with lacquer." Fascinating. I am in awe, Mr. Fernee. Time will tell if the lacquer has completely halted the copper's oxidation process, or if over time the book will exhibit a slow and creeping green patina. One never knows: a leprous verdigris may enhance the book's aesthetic appeal. "The black cloth is lettered in white as there is a tradition within the corpus that is how a black art book should look. ... The sense of this tradition is unclear, though an observation based on handling copies of this book is that white letters on a black background can be discerned more clearly in half-light, perhaps appropriate for night time rituals in churchyards." There you have it; all for the benefit of nyctophiles such as we. The book's endpapers mirror the marbled skeletal hand panels of the slipcase. The paper is a real treat: "Printed on 180 gsm Fabriano Ingres, a real laid paper, whereby the textures are natural product of the pulp on wire mesh frames rather than being artificially embossed with a pretend texture." Text is printed in three colors: black, gray, and crimson. A must-have for any aspiring necromancer. Arbor de Magistro: An Advanced Study on Aethyric Evocation by Nikolai Saunders (Magister Edition), published by Fall of Man. 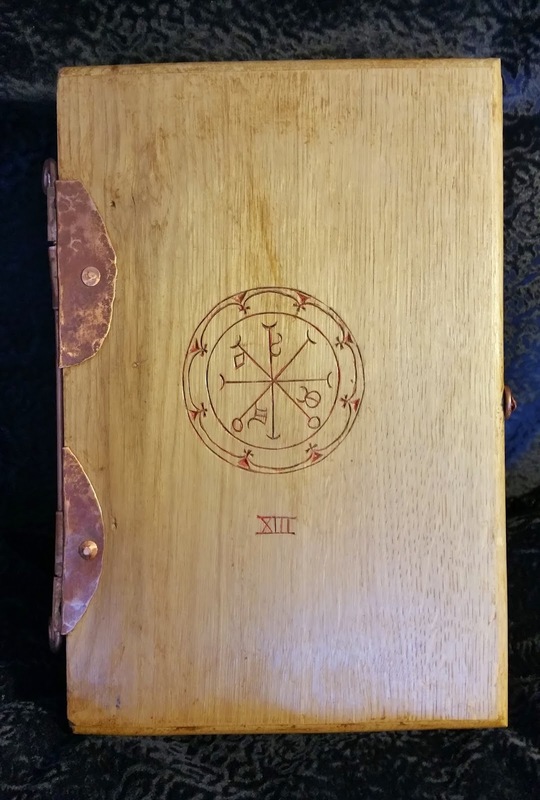 Magister Edition comes with a handcrafted and sigilized oak box. For the advanced student. 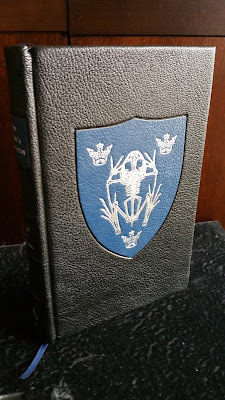 Flamel's Heiroglyphical Key by Nicholas Flamel and translated by: Eirenaeus Orandus (Brazen Serpent Edition), expertly bound in Cambridge style binding by Michael Atha of Restoration Books, published by Ouroboros Press. A stunning little book. 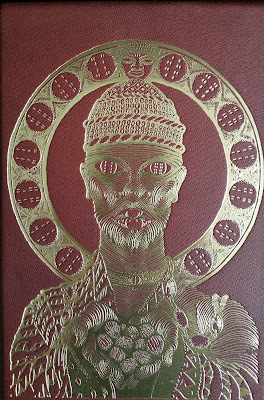 Obeah: A Sorcerous Ossuary by Nicholaj de Mattos Frisvold (Limited Edition), published by Hadean Press. Limited Edition comes with a custom mojo bag. The Dragon Book of Essex by Andrew D. Chumbley (Deluxe Edition), published by Xoanon Ltd. Easily the largest esoteric book of 2014. This is not a book for dabblers. 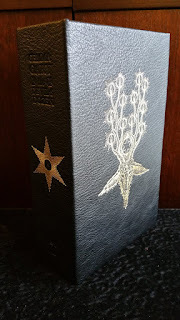 The Blazing Dew of Stars by David Chaim Smith (Deluxe Edition), published by Fulgur Ltd. What more can be said about David Chaim Smith's brilliance? This is one of 2014's must-haves. The Testament of Cyprian the Mage by Jake Stratton Kent (Infernal Pact Edition, 2 volumes), published by Scarlet Imprint. Mr. Stratton-Kent's Encyclopaedia Goetica (5 volumes in all) is a resource of incalculable value to the Grimoire Tradition. Nothing short of astounding. 36 Faces: The History, Astrology and Magic of the Decans (Special Edition) by Austin Coppock, published by Three Hands Press. Each copy of the Special Edition comes with a unique talisman depicting one of the geniuses for each of the 36 decans. An illuminating treatise by a talented young author. The long-awaited Ontological Graffiti by Michael Bertiaux, to be published by Fulgur Ltd. looks to be another fascinating exploration of the Voudon Gnostic current. This book has been in the works for a long time, but it appears its release is immanent. 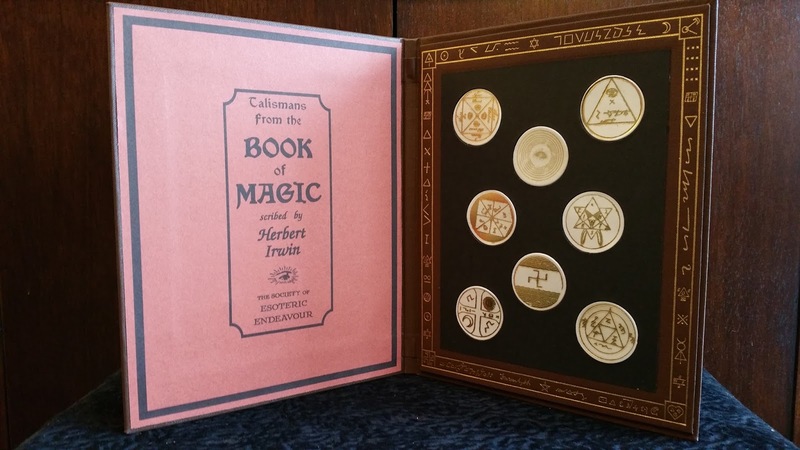 The next publication from The Society of Esoteric Endeavour, Book of Magic by Herbert Erwin. This will be a wonderfully talismanic text. Each copy will come with an embedded black scrying mirror and a set of 8 velum talismans. All 196 copies of Book of Magic have already sold out. The second book in Mark Alan Smith's The Way of Sacrifice trilogy, The Witchblood Grail, is slated for an early 2015 release. This is the fifth volume in Mr. Smith's Grimoire Trilogies series. Will 2015 be the year we see the first volume (eleven volumes planned) in Marcus Katz' The Magister series? And of course we mustn't forget the 2015 Esoteric Book Conference scheduled for next September. I was just in Seattle last November, but I am already yearning to return. Perhaps I will make it back next Fall. 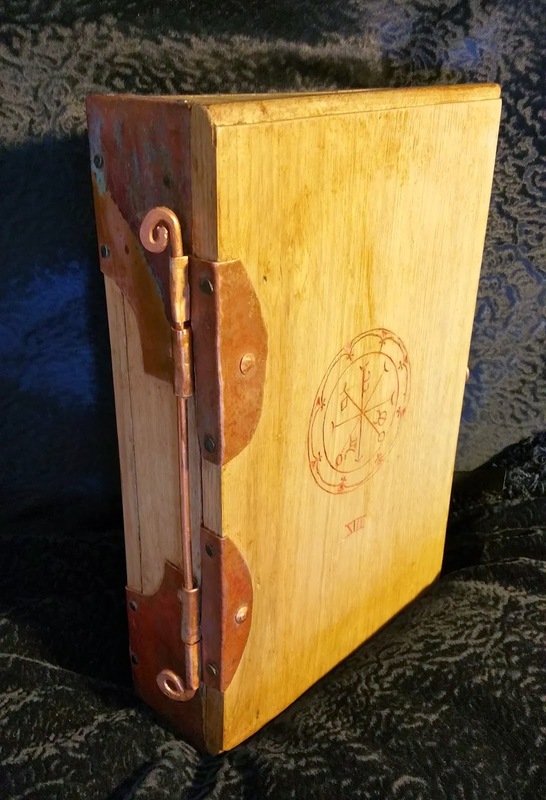 There has been a number of esoteric books released this year that are housed inside wooden boxes (stylish to rustic). It is an interesting development. Besides the Special Fine Edition of Cecil Williamson's Book of Witchcraft (reviewed above) there have been other examples including Aeon Sophia Press' Devotee Edition of Black Magic Evocation of the Shem Ha Mephorash by G. De Laval (Deluxe Edition reviewed here) and Fall of Man's Magister Edition of Arbor de Magistro: An Advanced Study on Aethyric Evocation by Nikolai Saunders. In certain cases, like Troy Books' amazing example mentioned above, decorative wooden boxes can compliment a book's subject matter nicely without overshadowing the book contained therein or its content. However, in other cases they can be a needless accoutrement, or at worst, a bulky gimmick. They also present some storage issues, as they typically take up twice the space of a non-boxed book. It also begs the question, how many wood boxes does one want on their shelf? Will the wooden box trend continue? Do we want it to? 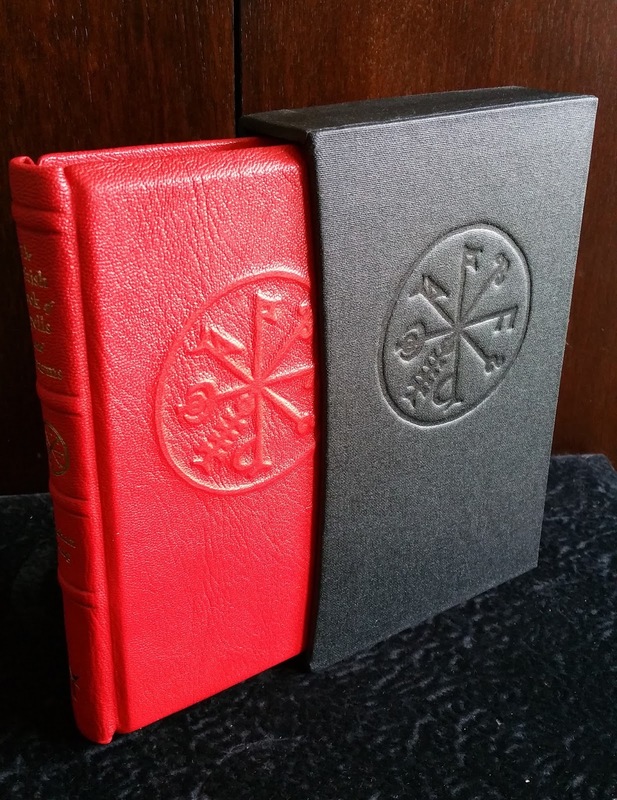 Wider use of exotic yet non-endangered skins/hides (Scarlet Imprint recently published the Fine Edition of Reasonances using Salmon skin. Bravo, SI!). 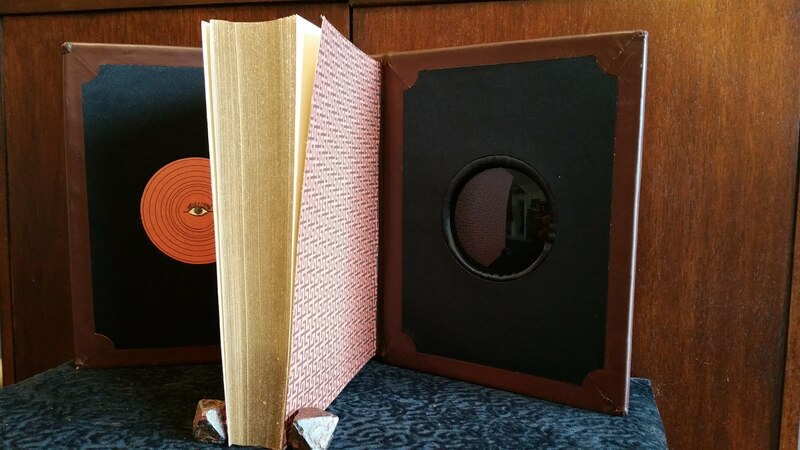 How about a book bound in stingray (shagreen) or ostrich? More practical magic books and fewer that read like someone's dream diary. Cross-traditional collaborations between strange bedfellows. Imagine a collaboration between Stephen Skinner and Orryelle Defenestrate-Bascule. Now that would be interesting. Lets move outside our comfort zones. Boris Balkan is a folklorist, art dealer, lecturer, antiquarian, and book collector.